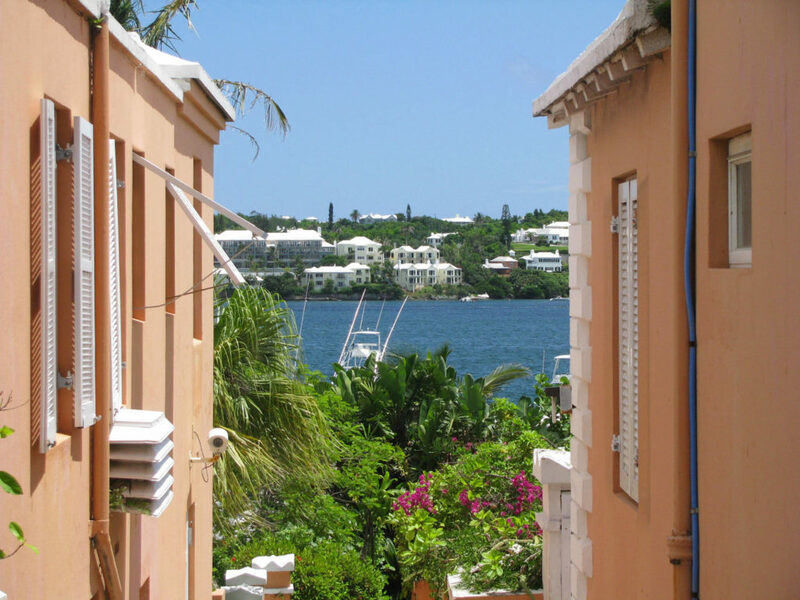 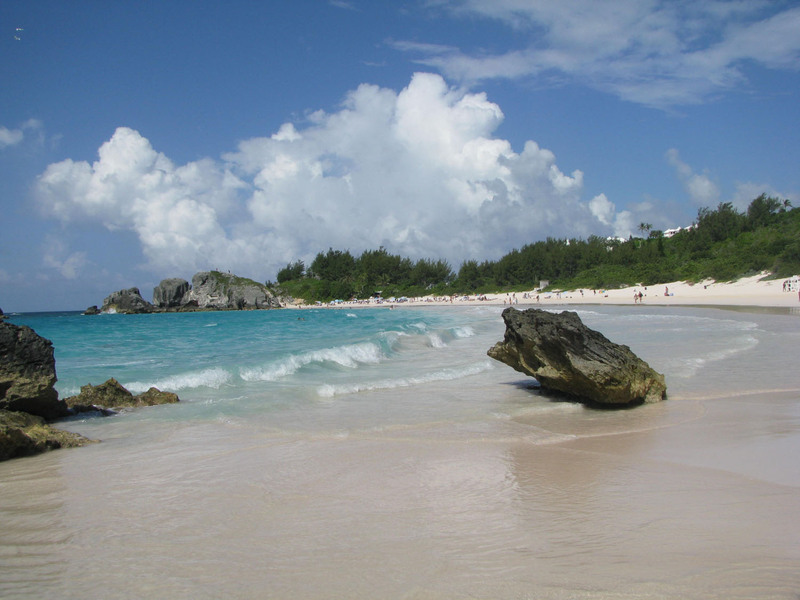 Luxury and Pink Sand... Closer than the Caribbean and milder in temperature, since Bermuda shares the latitude of South Carolina, this British island will charm you with its turquoise blue waters, sunshine and breezy trade winds. 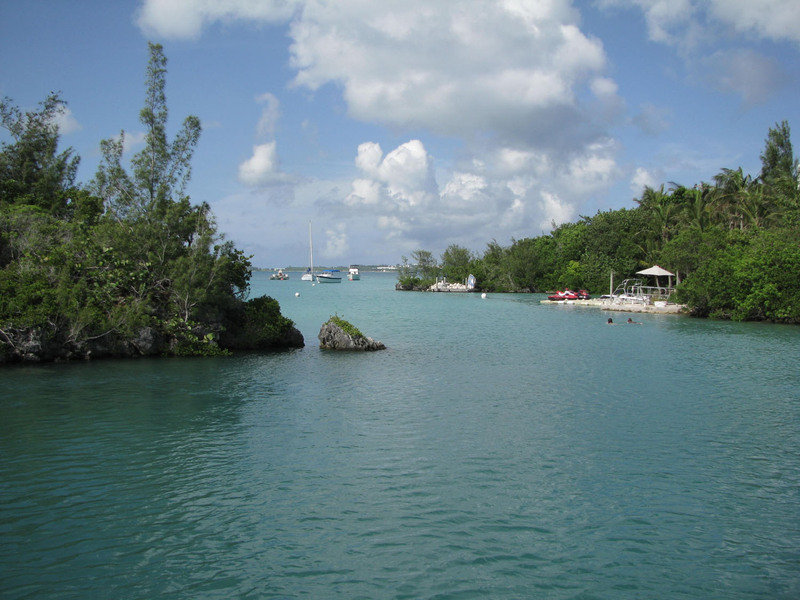 Flying from the East coast, you can be sipping Rum Swizzles in an hour or two, relaxing by the water in the sultry 85-degree air of this romantic island (actually a coral reef atop a dormant volcano). 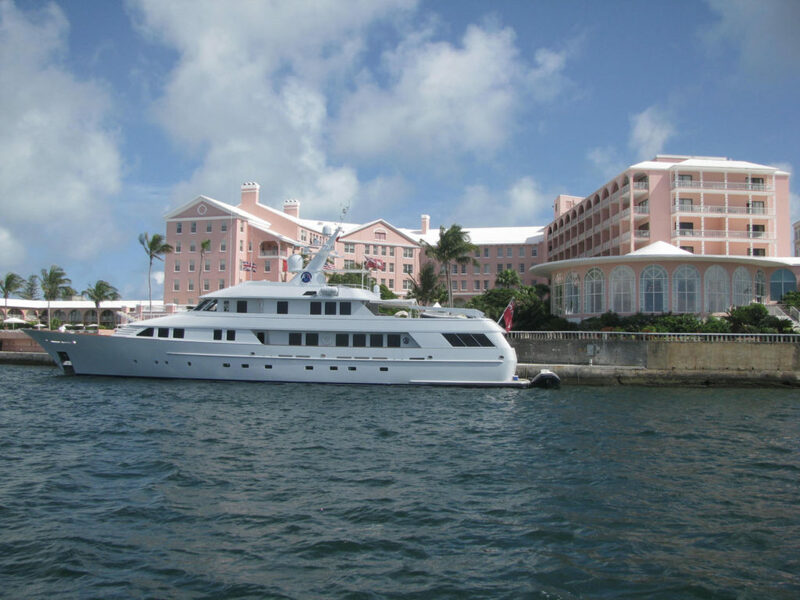 Bermuda’s best waterfront hotel? 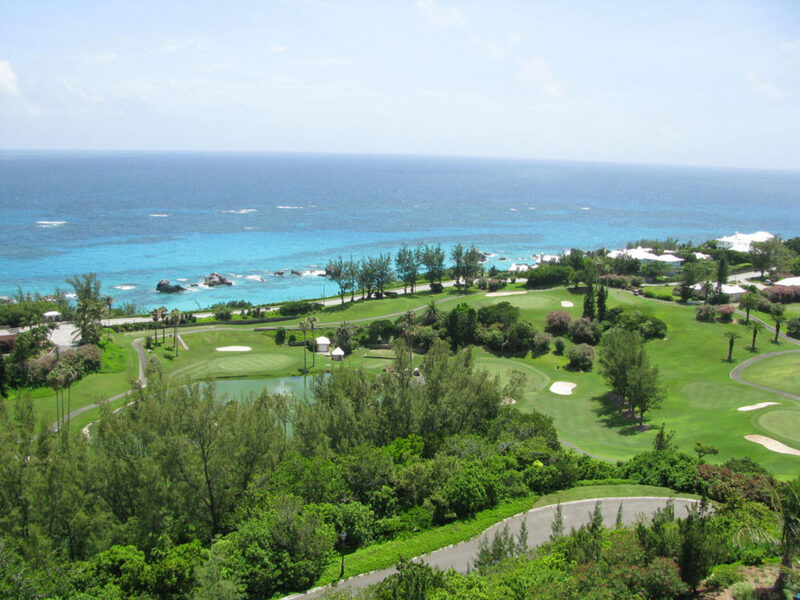 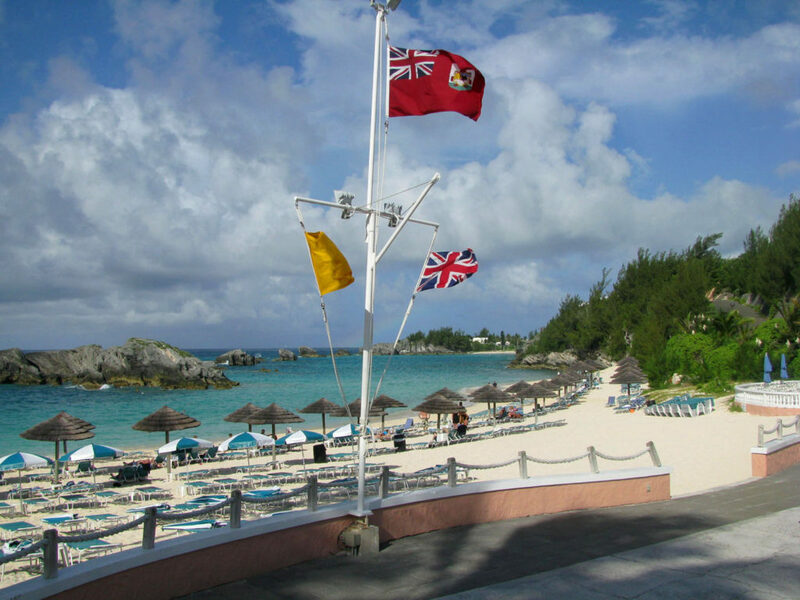 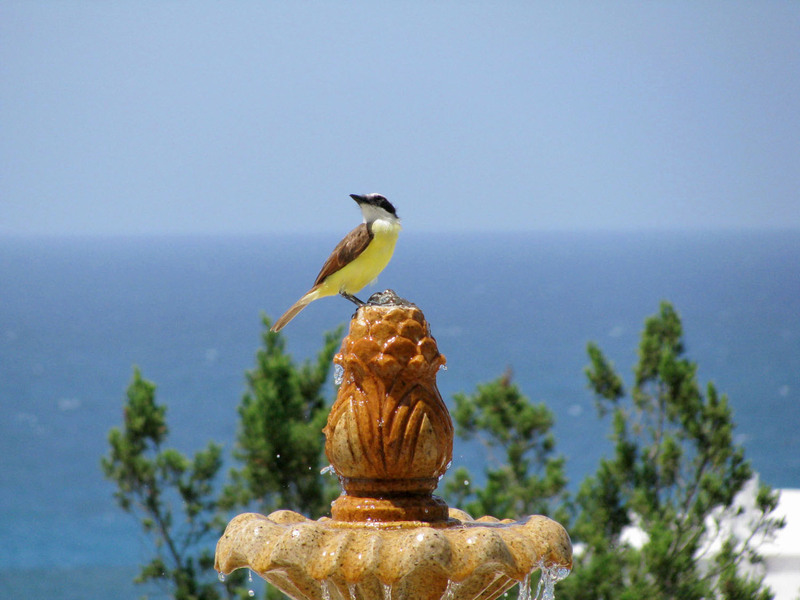 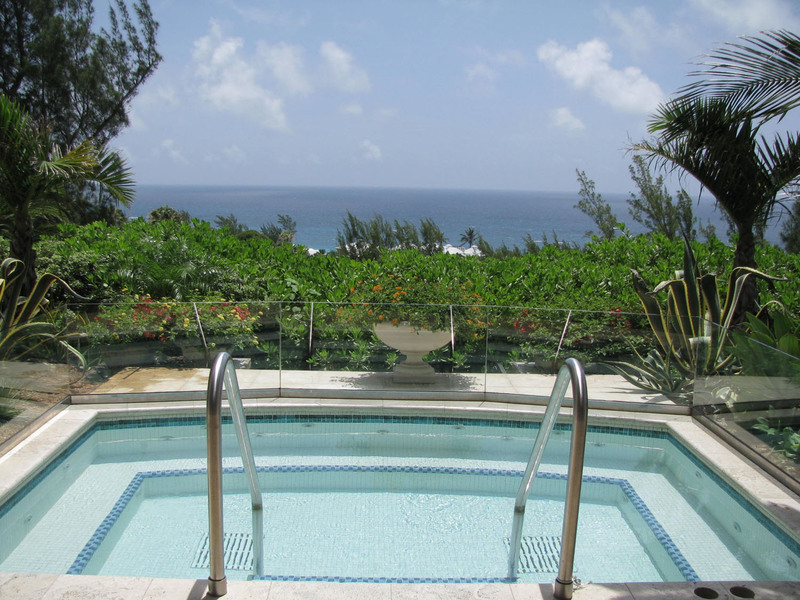 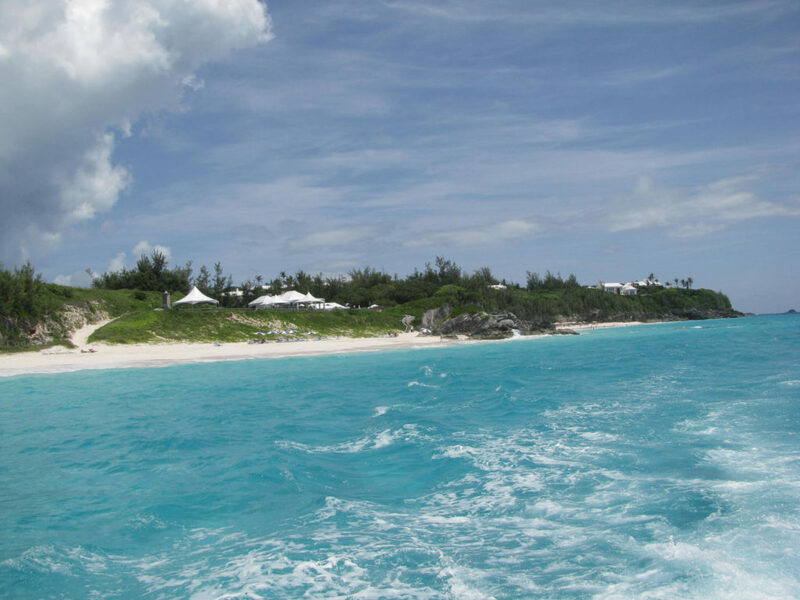 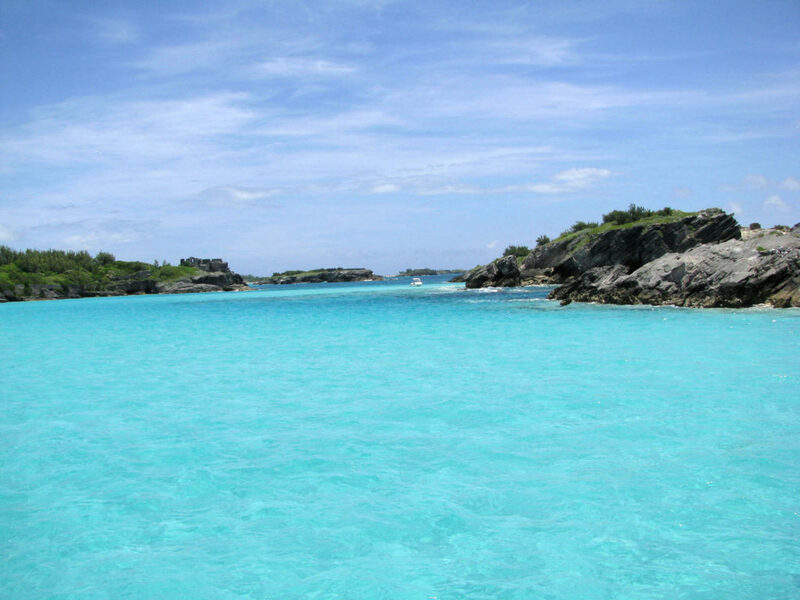 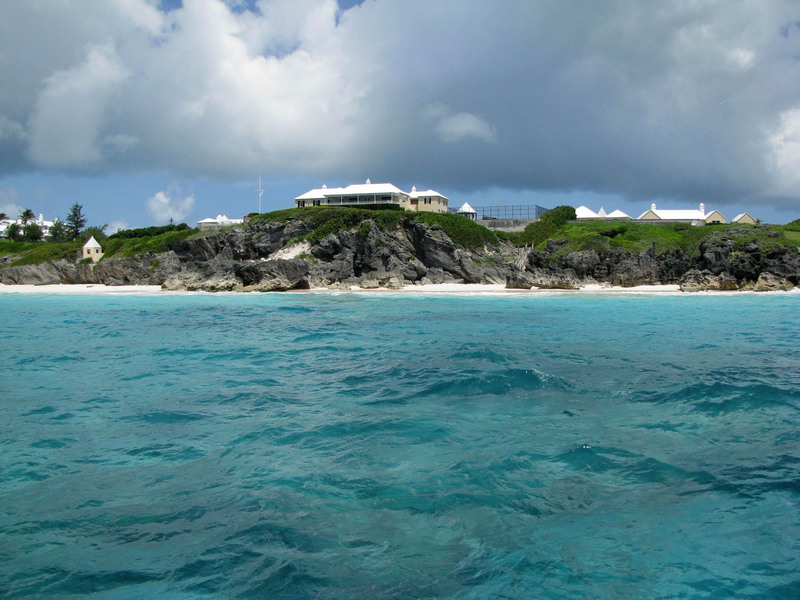 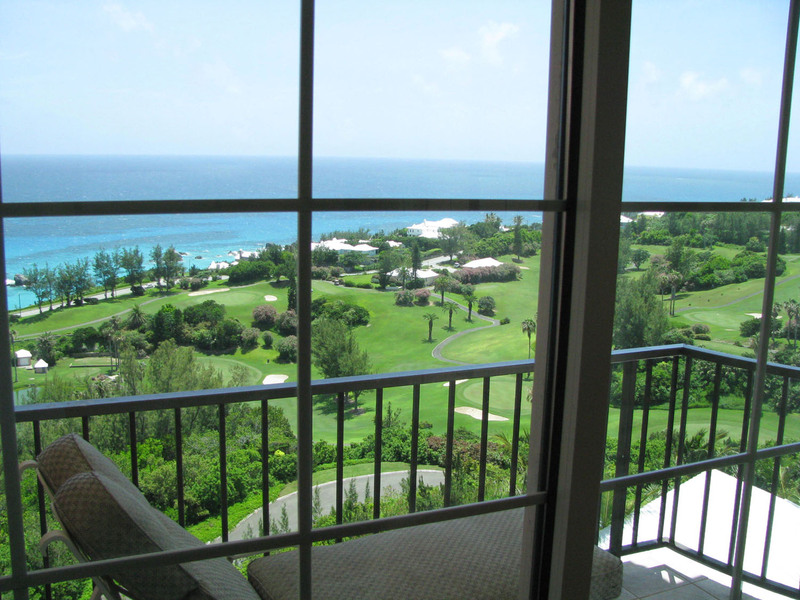 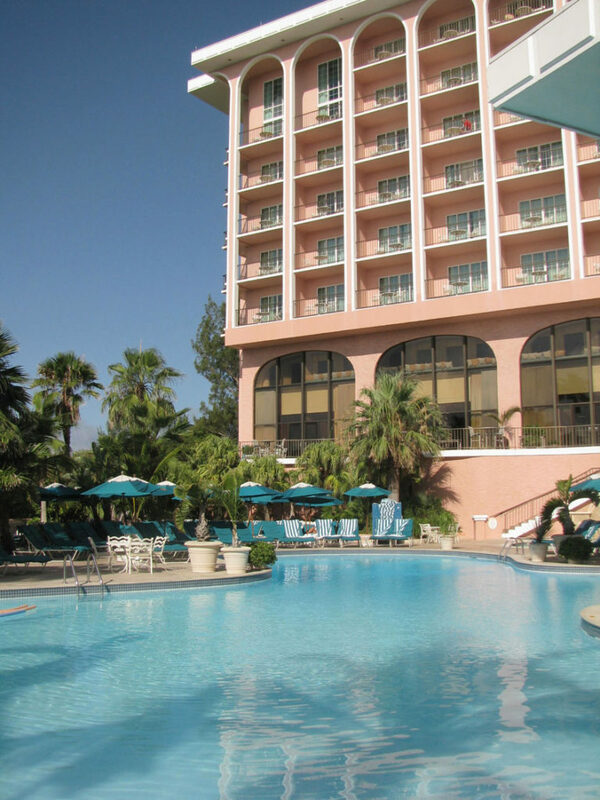 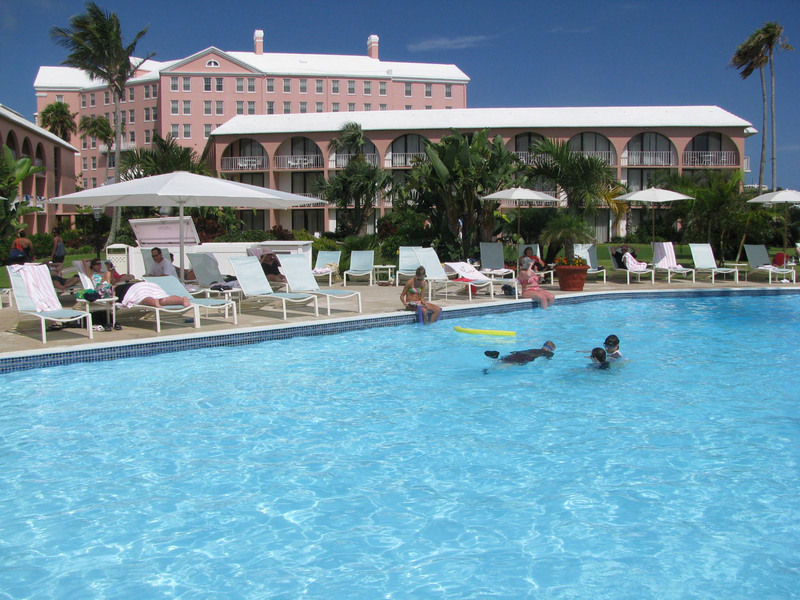 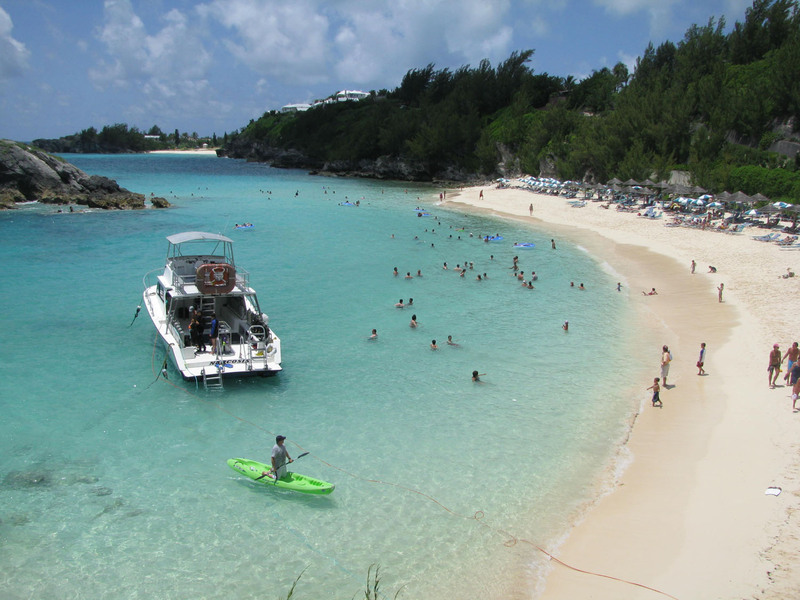 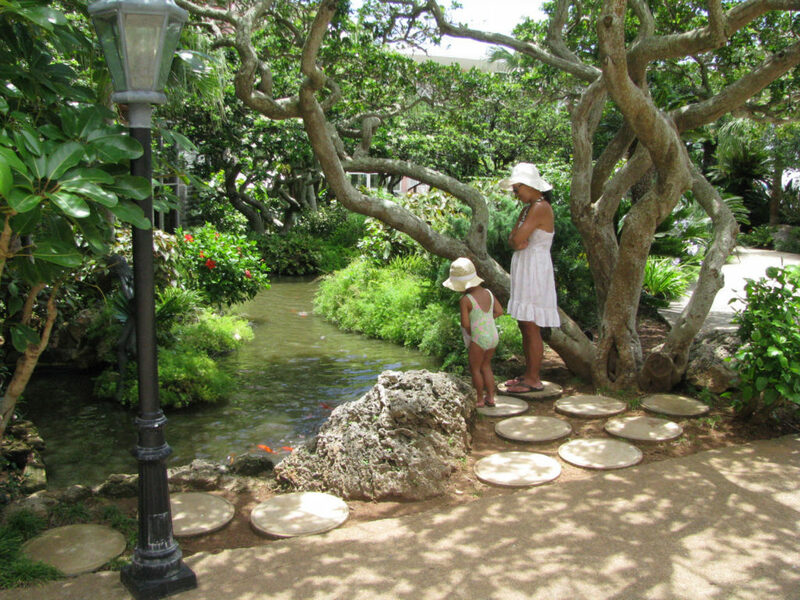 Its hard to choose which of Bermuda’s famed Fairmont hotels to stay at, so we recommend both. 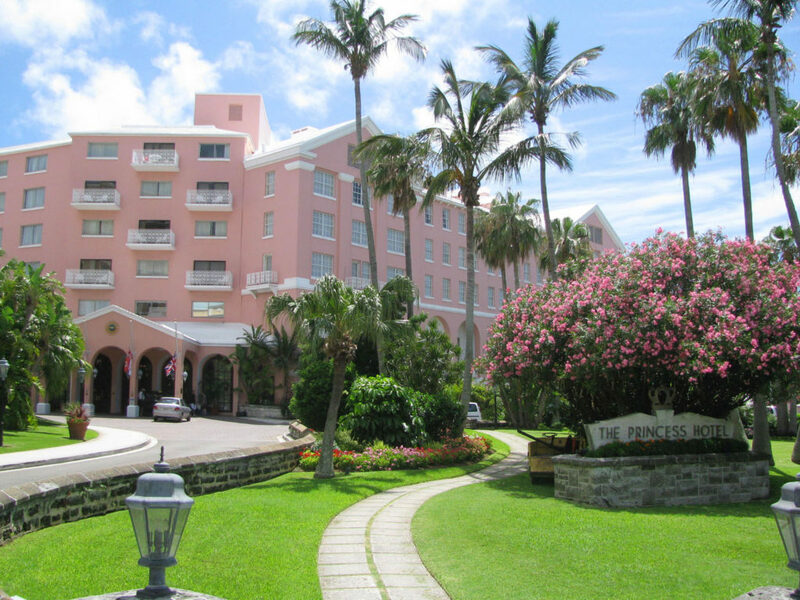 The Fairmont Hamilton Princess (circa 1885) is a 410-room pink hotel overlooking Hamilton Harbor. 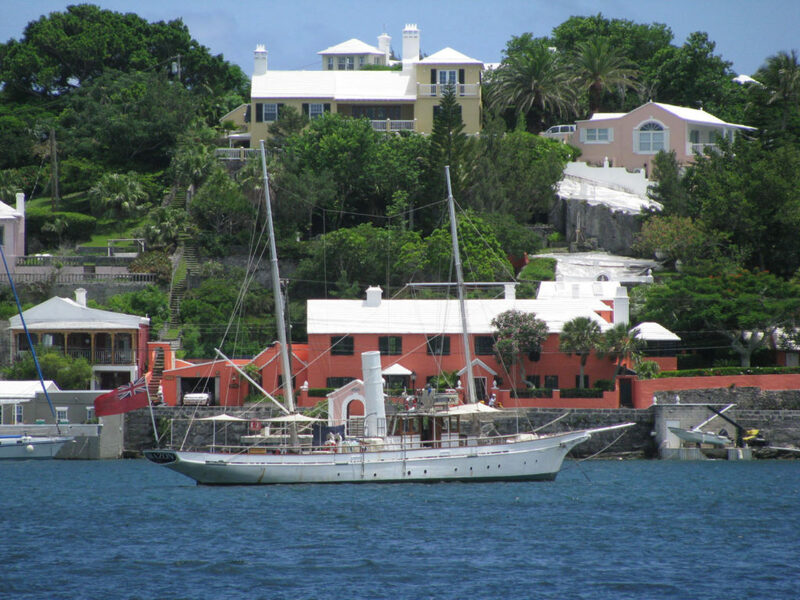 Named for Queen Victoria’s daughter Princess Louise, she declared Bermuda a chic destination in the late 1800’s and the rest is history. 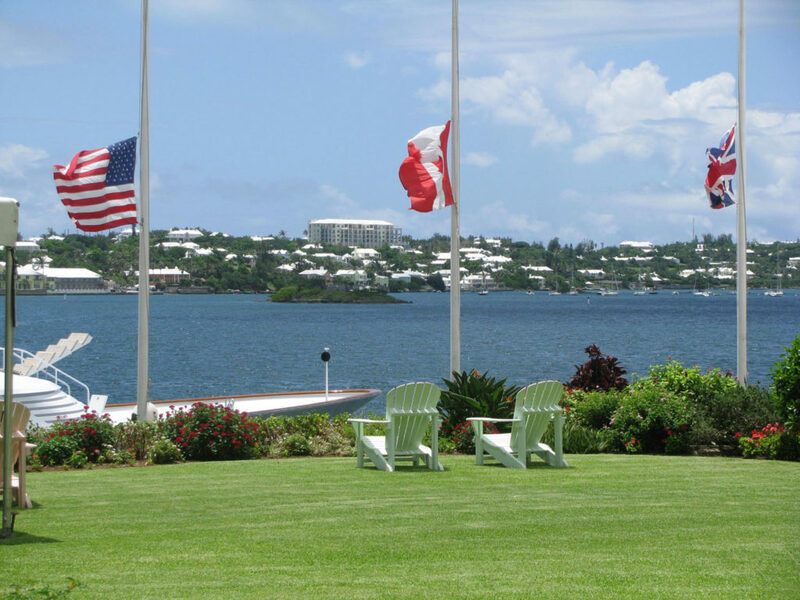 Her lavish hotel was built to the finest standards, which continue to this day with meticulously kept grounds, spectacular views of the harbor as mega yachts pass by, and an elegant interior where High Tea is honored, among other debonair traditions. 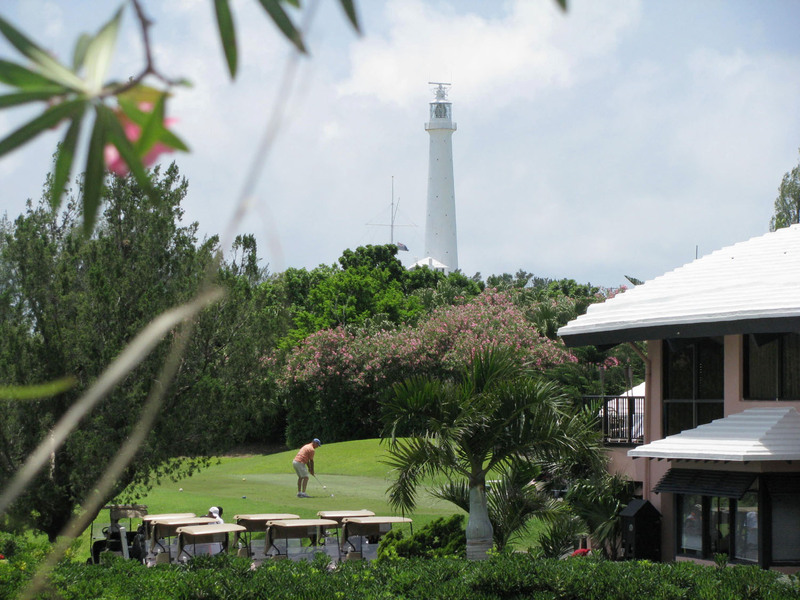 Two outdoor harbor view pools offer salt & fresh water swimming, a spa and a putting green, plus two restaurants provide amusement in this urbane four-diamond hotel. 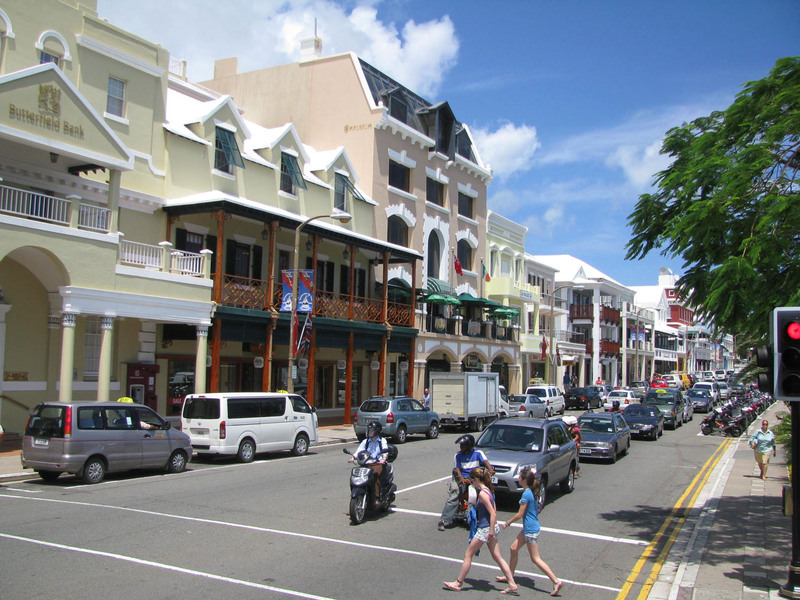 Its an easy walk to the capital city’s center shops and dining on Front Street from the in town Fairmont Hamilton Princess. 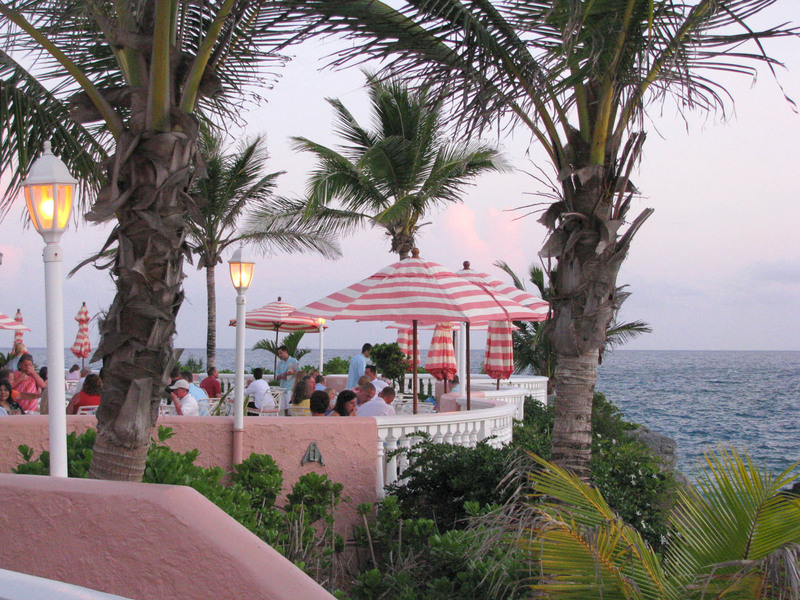 Try the Bermuda fish chowder spiked with Rum at the Hog Penny. 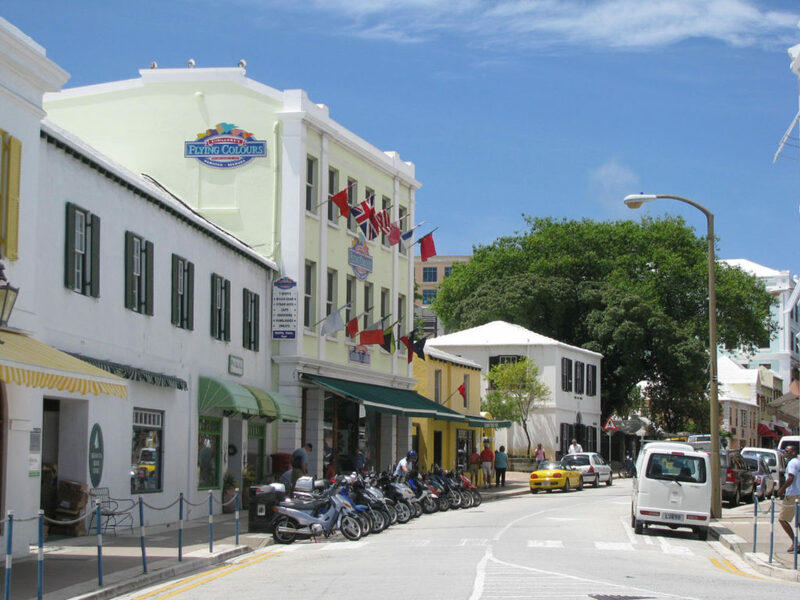 At the Pickled Onion nightclub (Bermudians are nicknamed “onions) we found a lively group of locals and ex pats, all swizzling rum. As we strolled back to our hotel in a warm flower-infused breeze, we passed live bands at vibrant outdoor cafes on the waterfront. 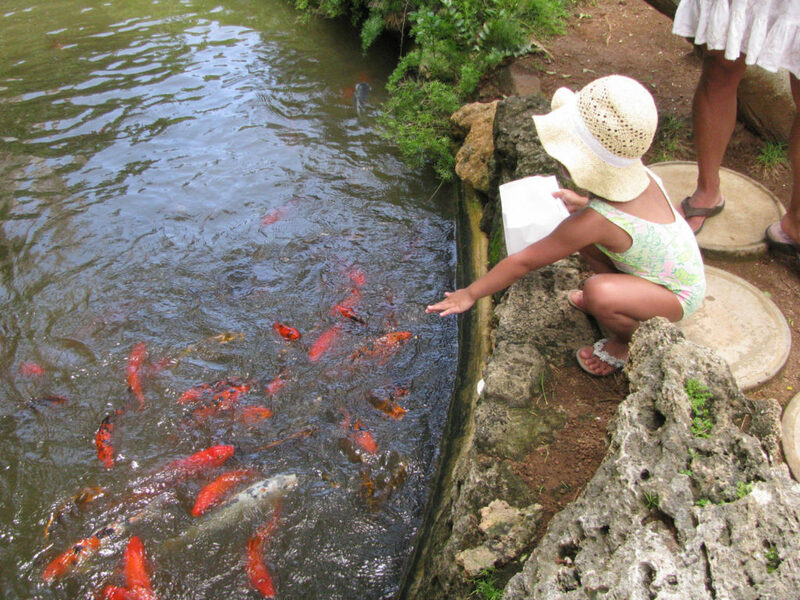 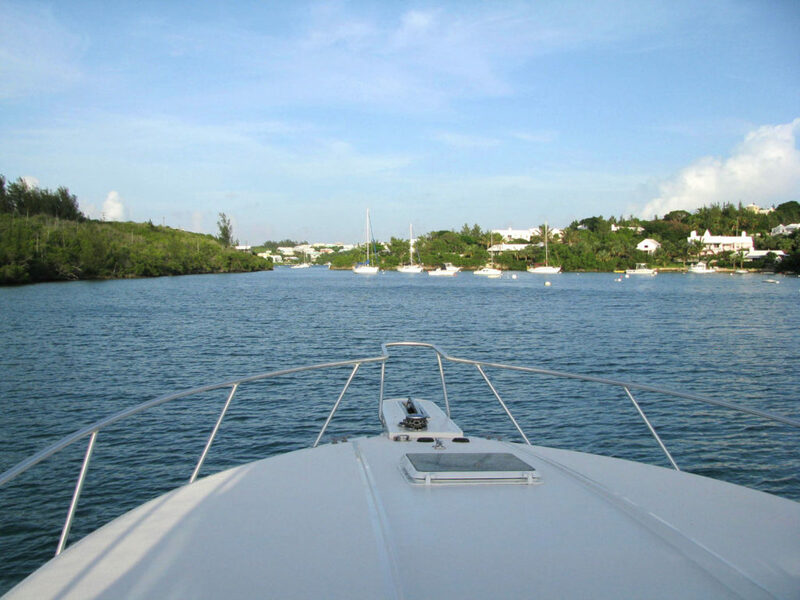 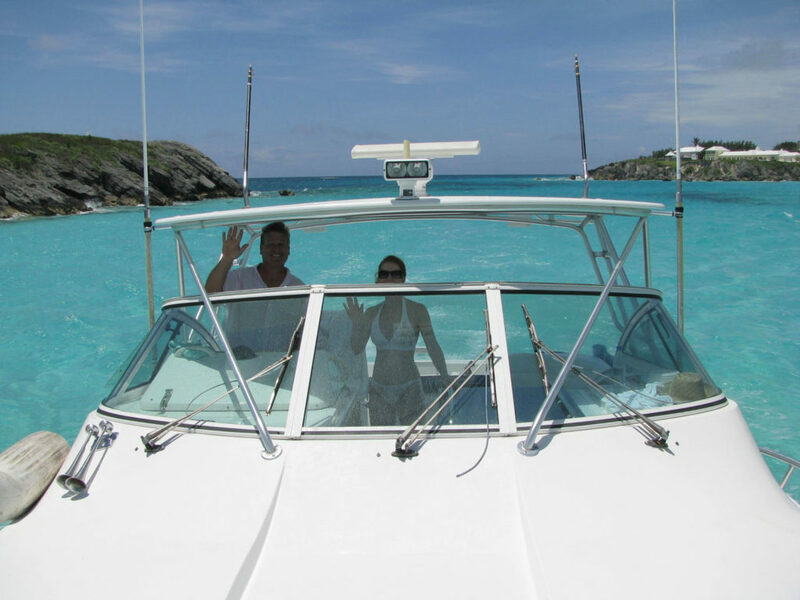 Bermuda feels safe, and more sophisticated than most Caribbean islands, but there is a similar island joie de vivre. 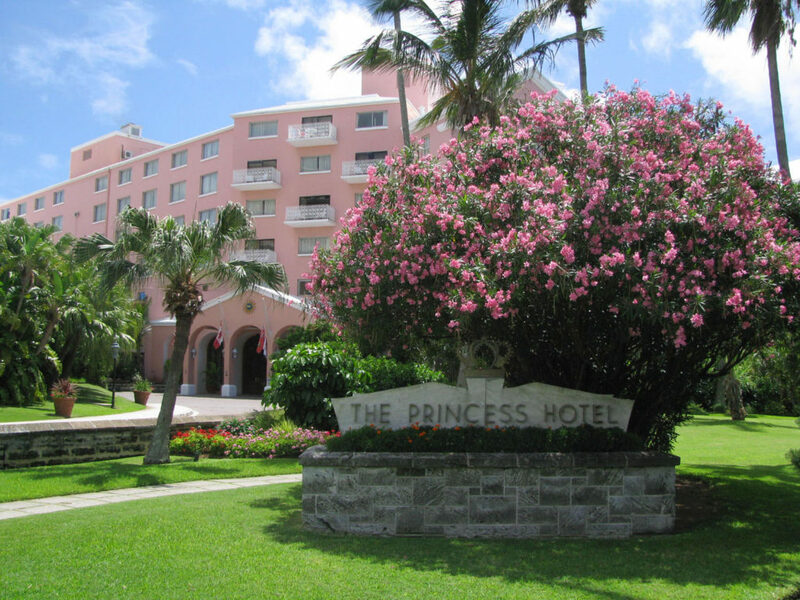 Lodging deals are best at the Hamilton Princess on weekends, since this in-town hotel is busy with business clientele midweek. 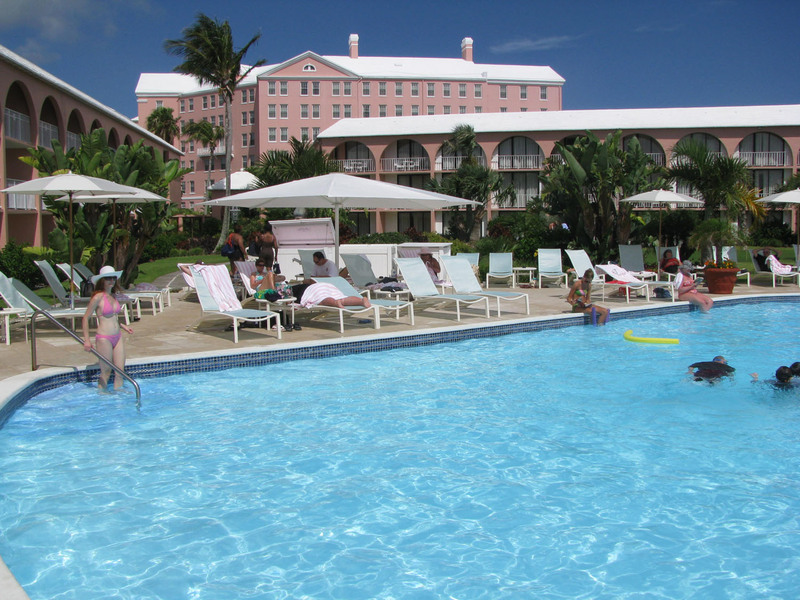 During our weekend, we explored Hamilton, took a boat excursion out of the harbor, and enjoyed the posh Princess pool, then we rode the free water ferry (exclusive for Fairmont guests) to the sister hotel, The Southampton for our final two days. 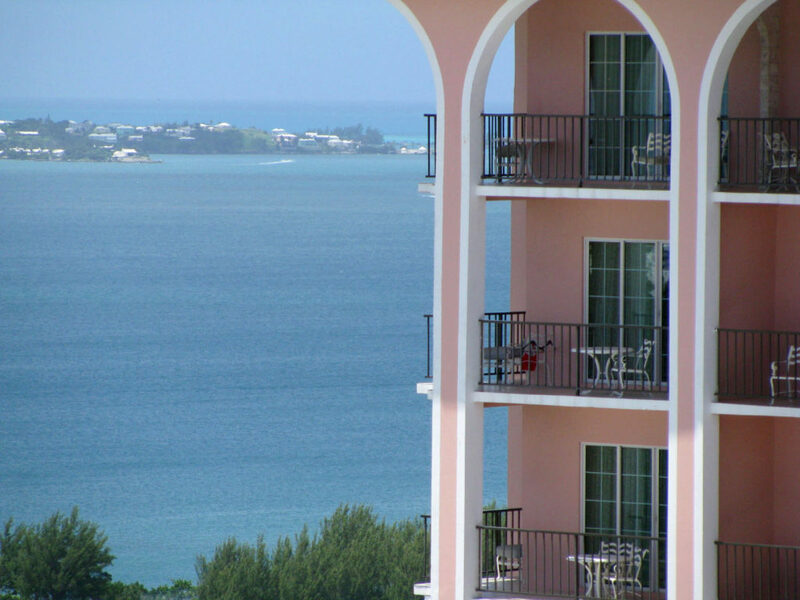 The Fairmont Southampton is also a palatial pink hotel; this one perched high on a hillside with water view balconies from all of its 590+ rooms. 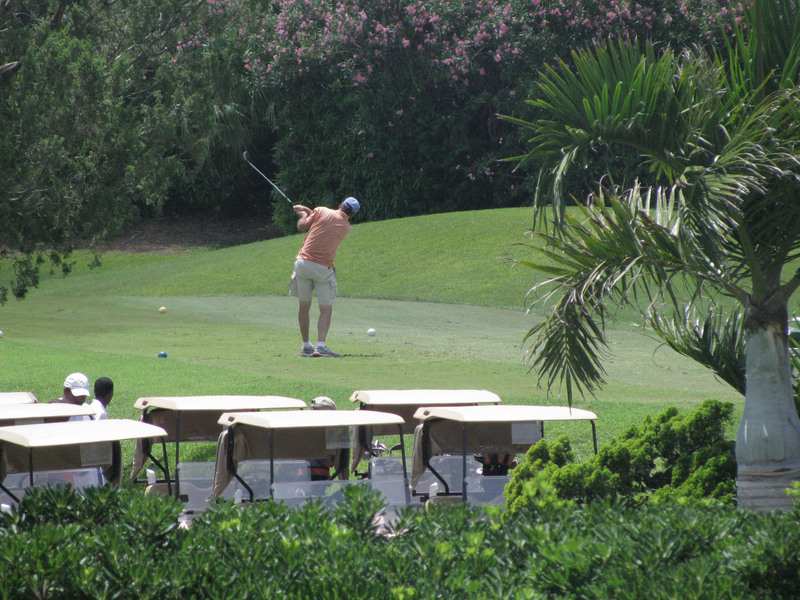 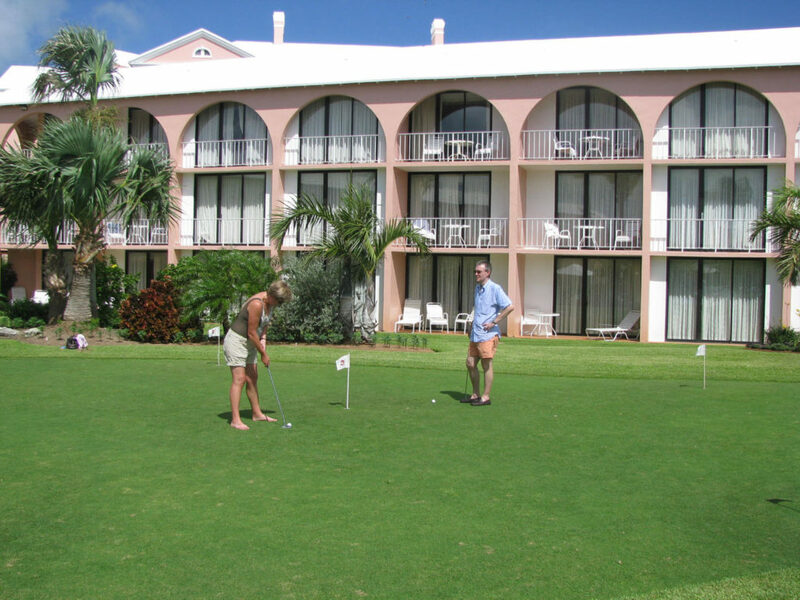 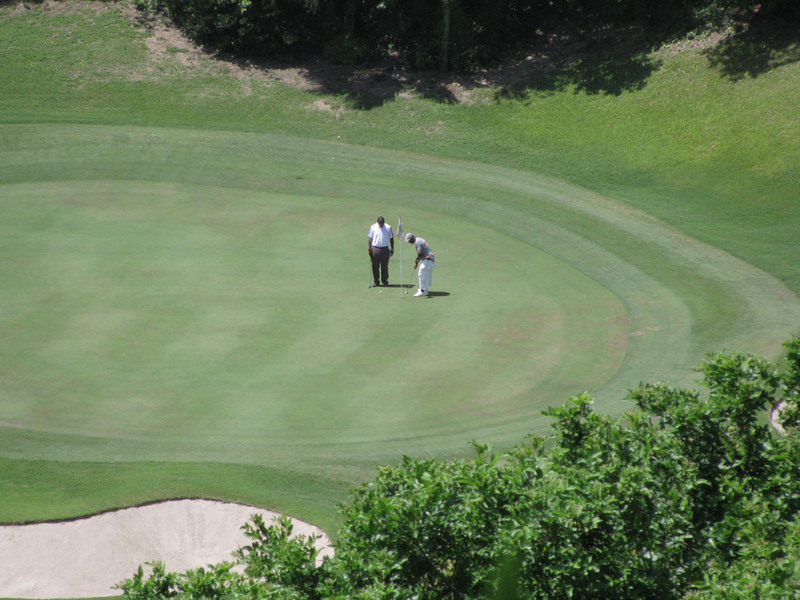 A 100-acre resort surrounds the pink crown hotel, built in 1972, with an executive golf course, a private beach club, and tennis. 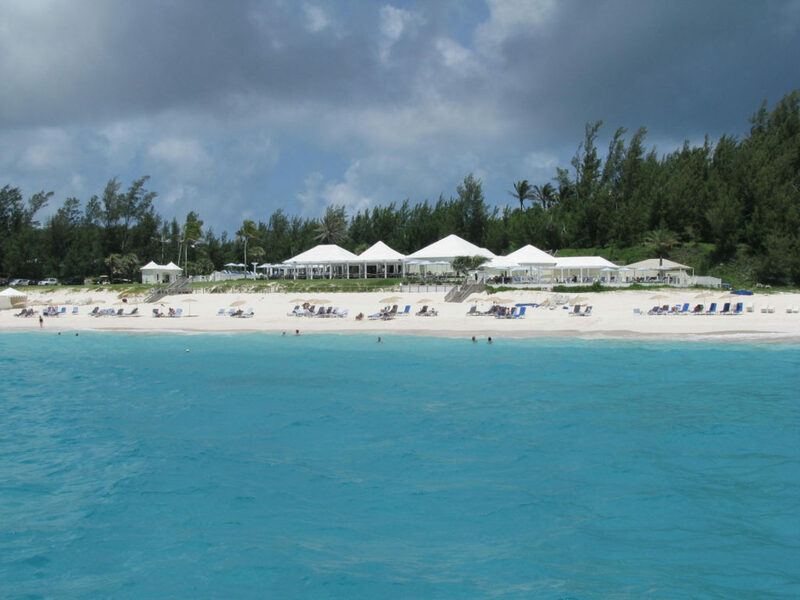 Staying at the Southampton, you have ten restaurants, an Explorer camp for kids, Bermuda’s biggest and best spa, and a nightclub all at your whim. 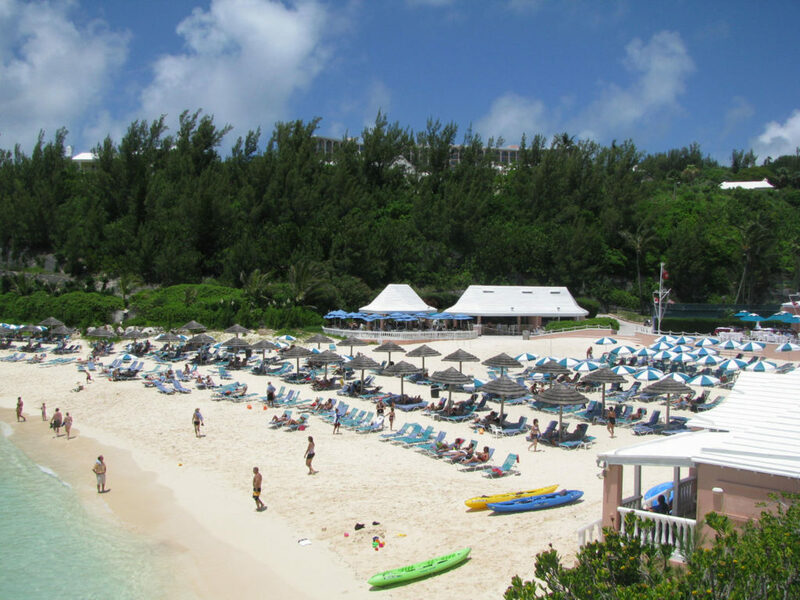 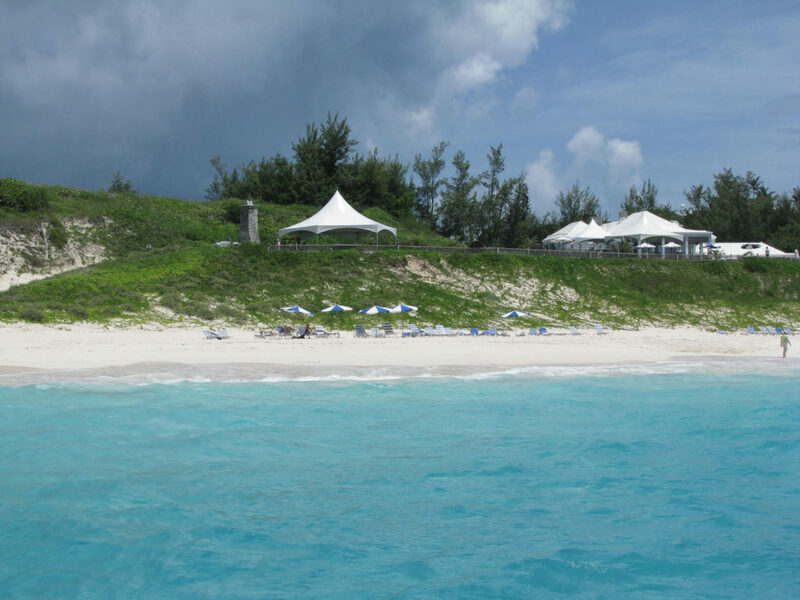 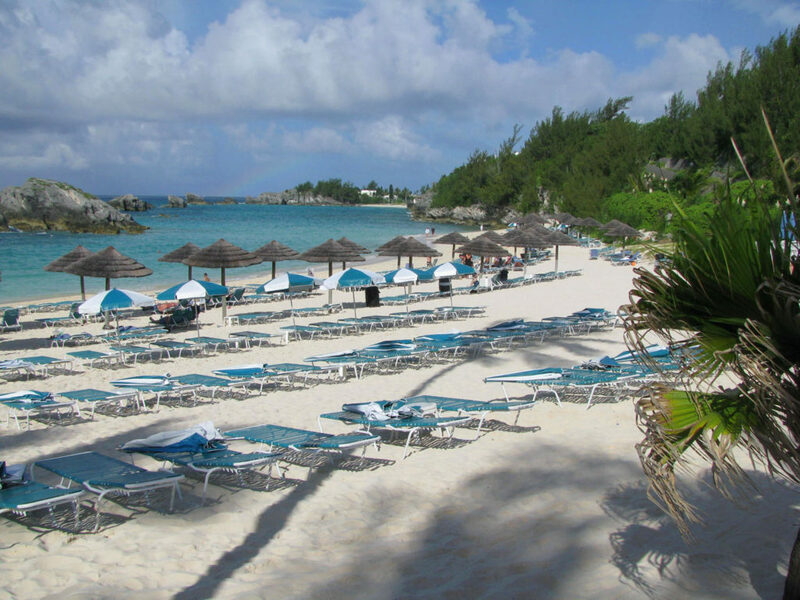 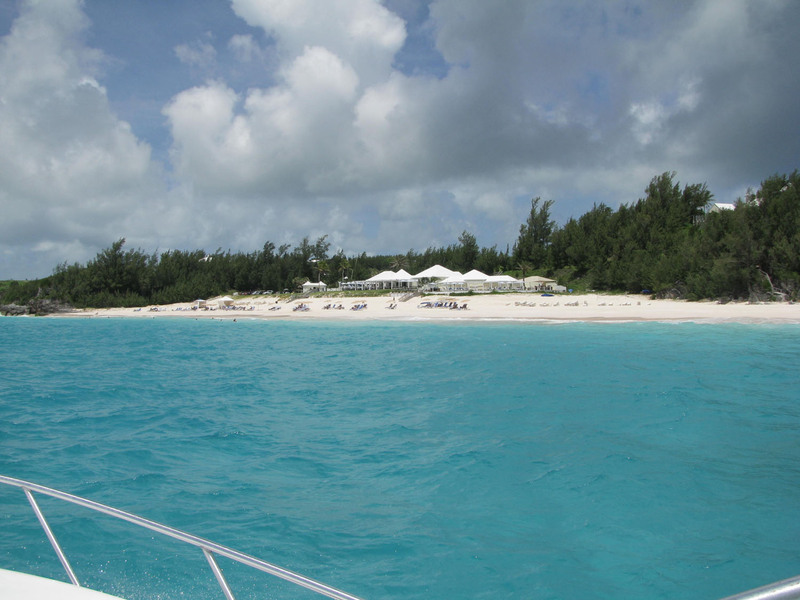 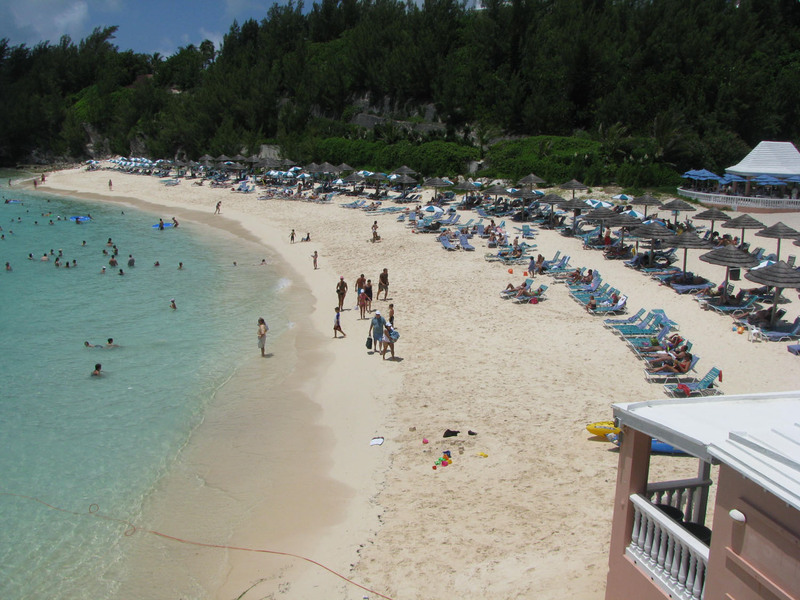 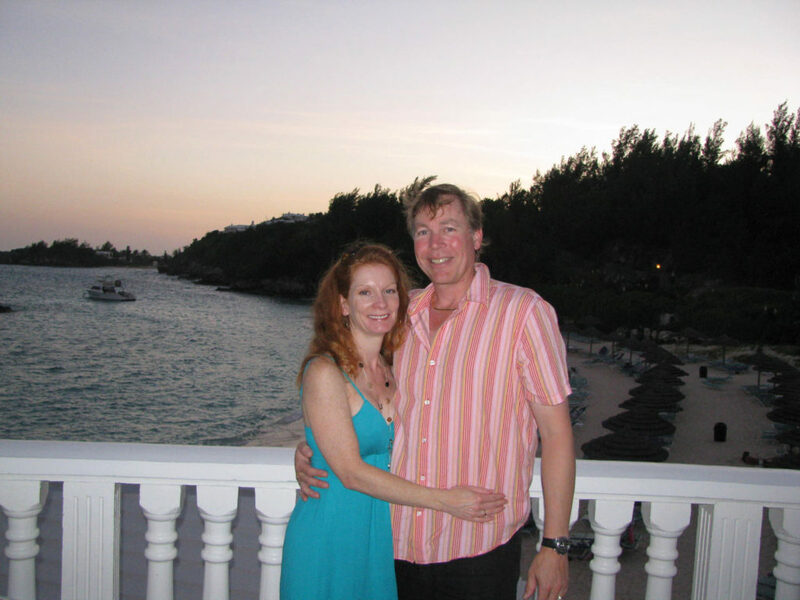 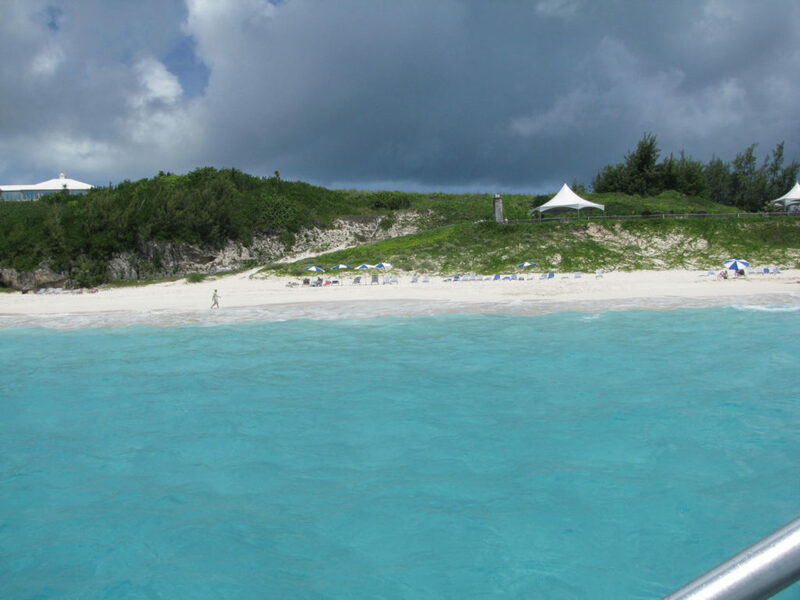 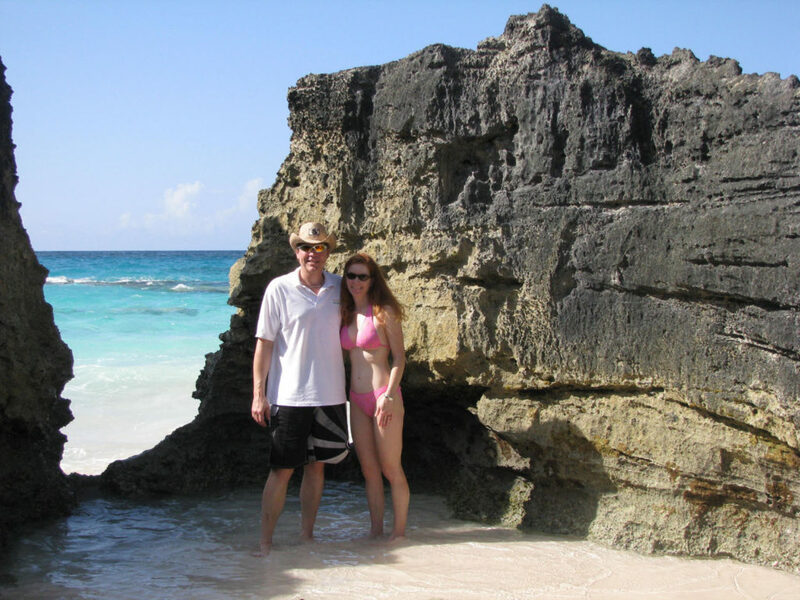 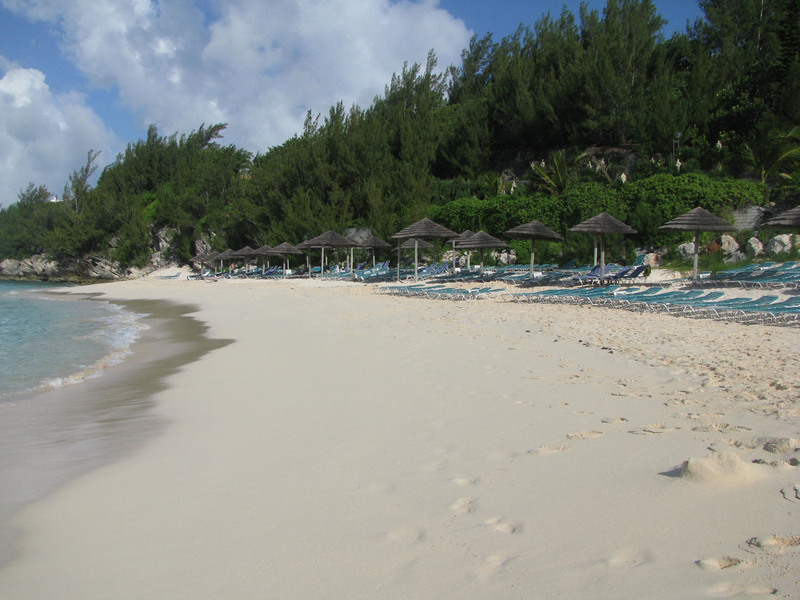 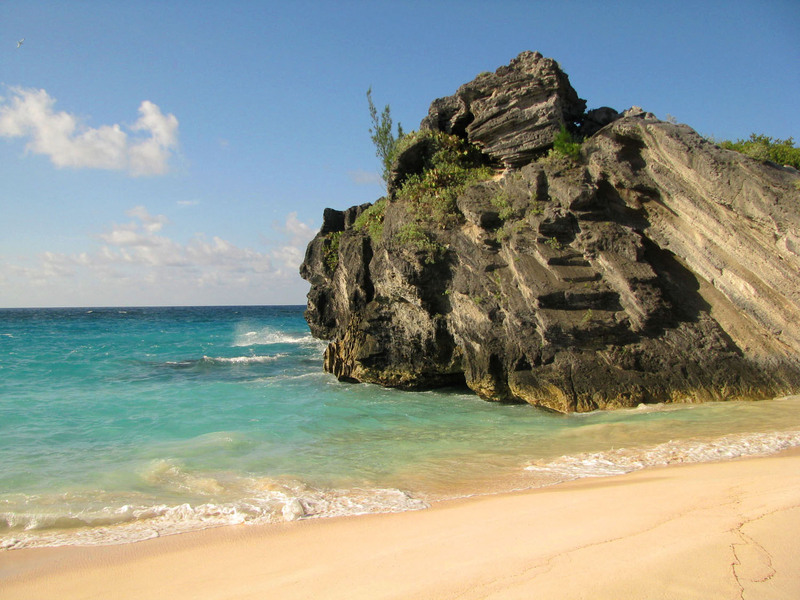 Fairmont Southampton’s private beach club is a stunning cove with silky sand surrounded by jagged coral cliffs. 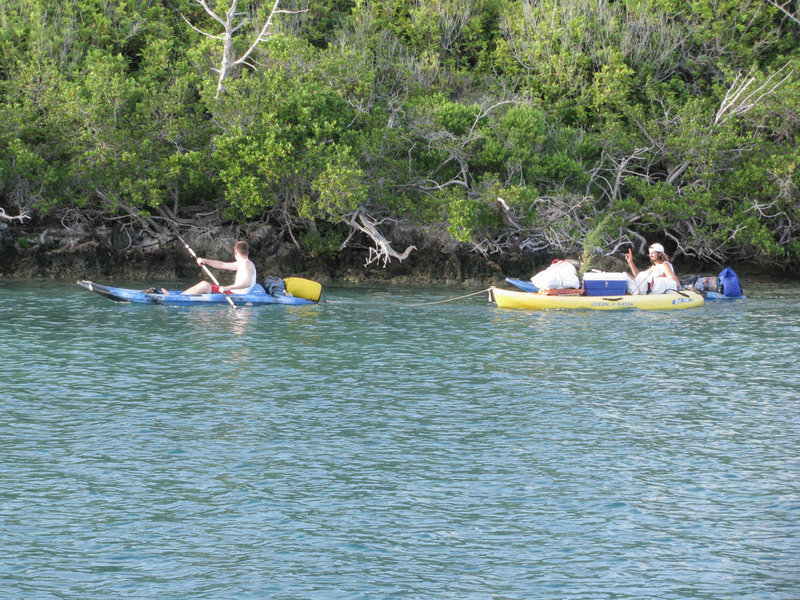 Beach chaises and umbrellas are provided; kayaks, floats, snorkel gear and dive equipment are available to rent. 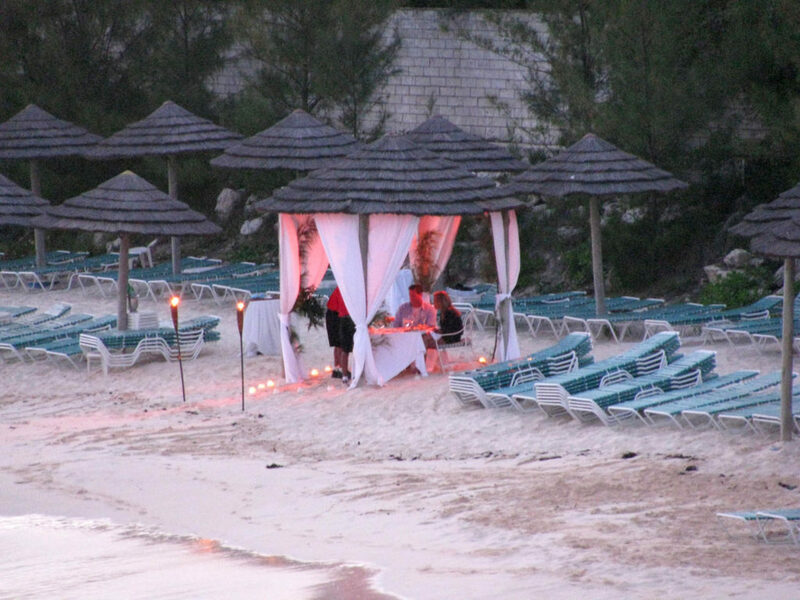 Barefoot waiters deliver cool drinks and juicy burgers to your spot in the sand. 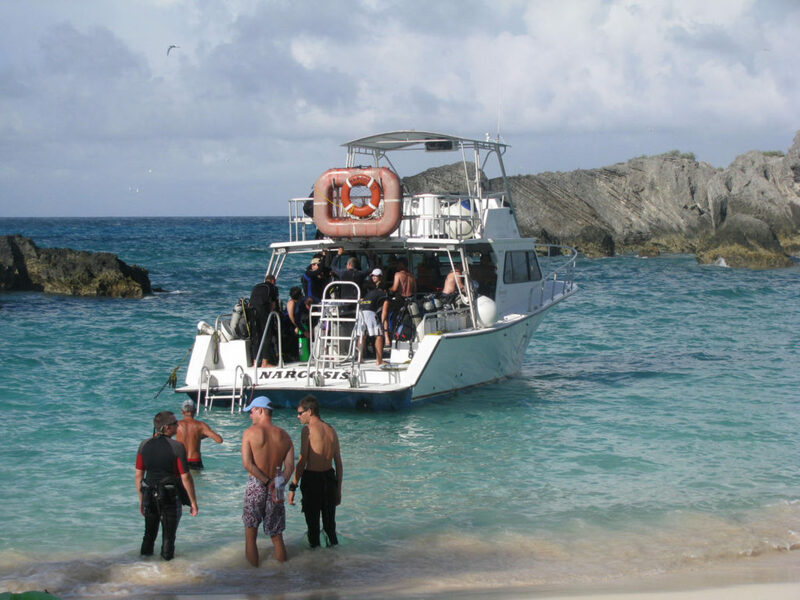 Snorkeling just 100 yards from our perfect beach chaises, we discovered rainbow colored parrotfish and trunk fish, floating over pillar coral and gigantic sea urchin in the brilliant blue waters. 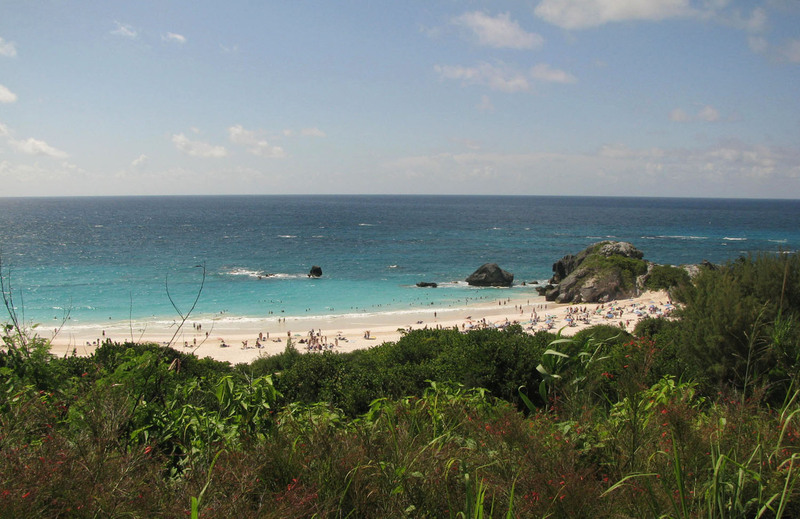 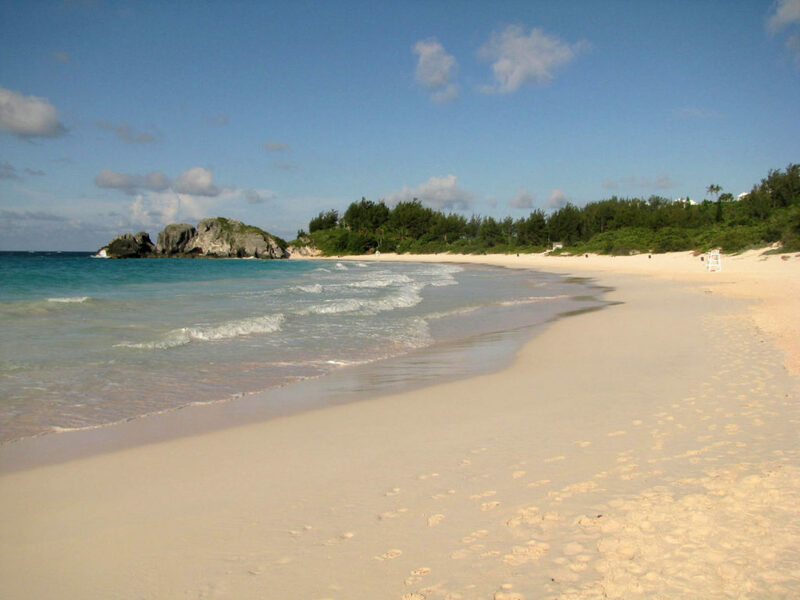 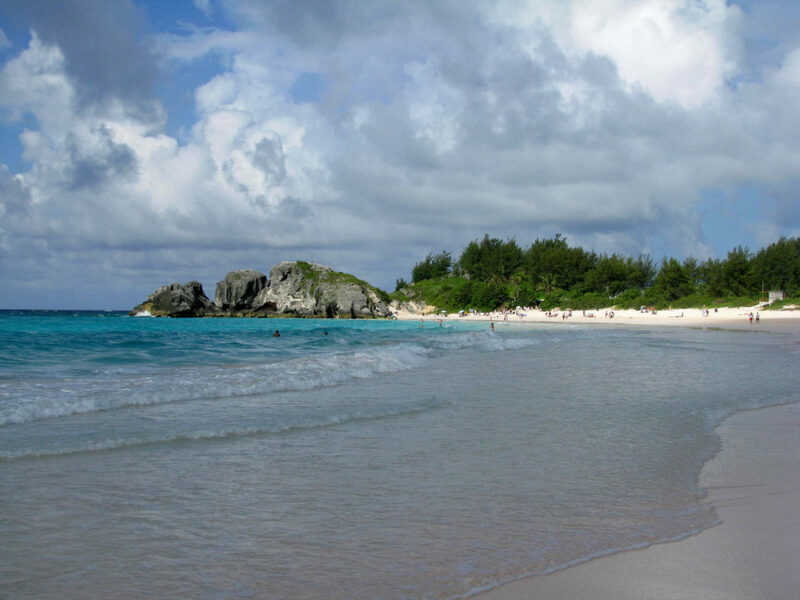 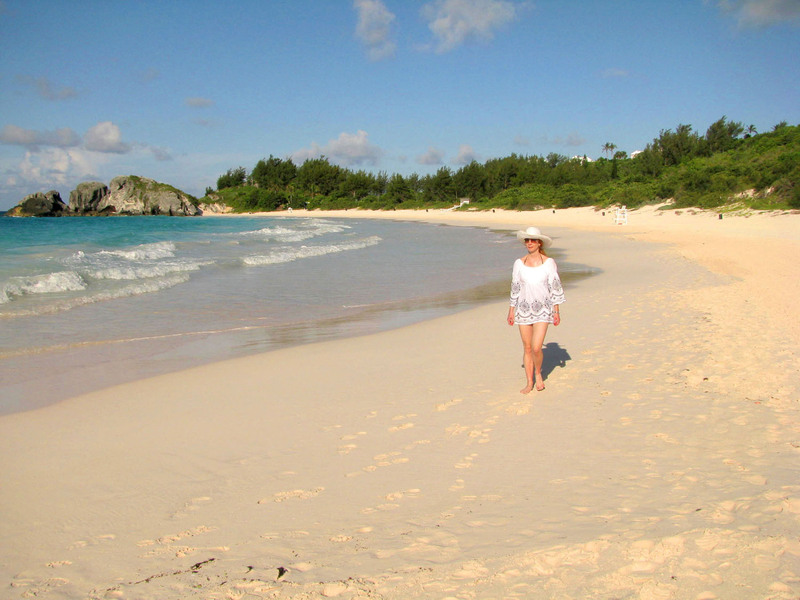 For the most “Bermudaful” beach walk ever, lathered on sunscreen (Bermuda’s sun index is a 10+), and walk to South Shore Park (the park gates are next to Southampton’s private beach club). 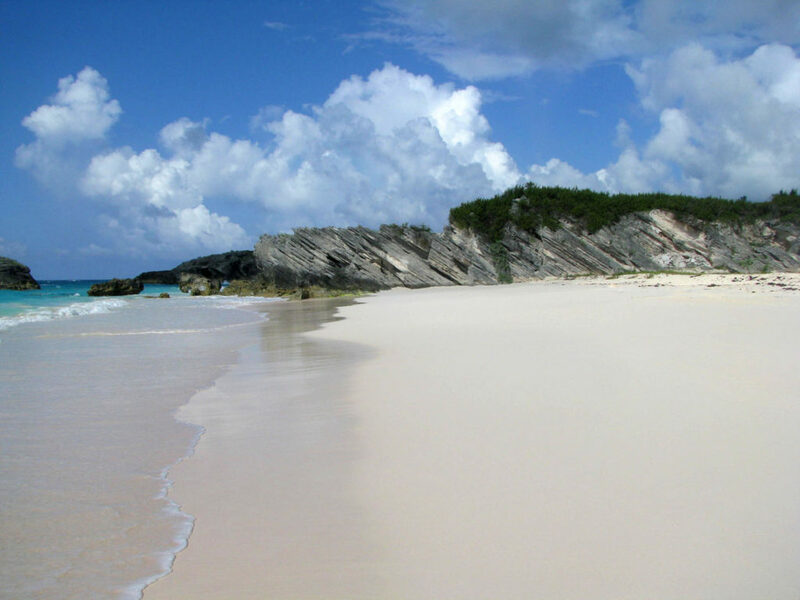 Just swimsuits, sunglasses and a camera (a must), we explored the satiny pink sand of Horseshoe Beach, considered one of the top 10 beaches in the world. 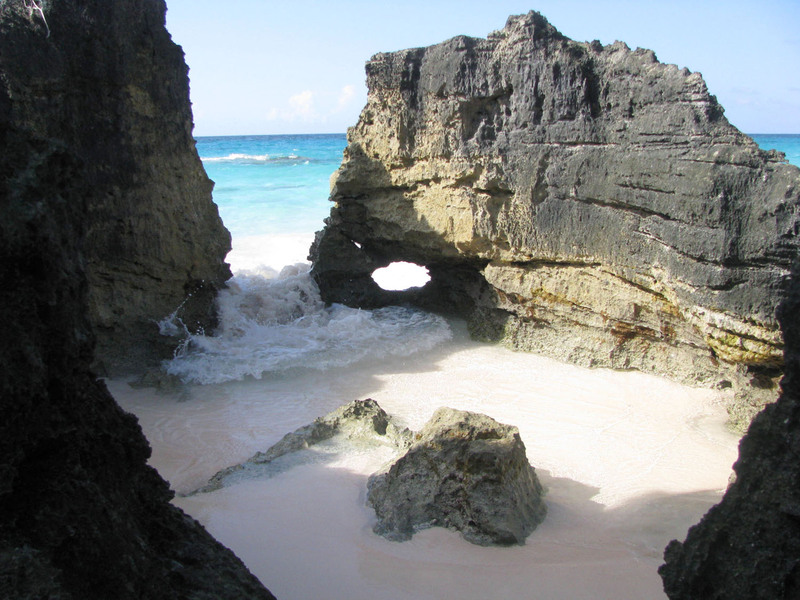 We continued for two miles along a labyrinth of coral caves amid crashing waves to find more hidden beach bays. 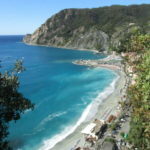 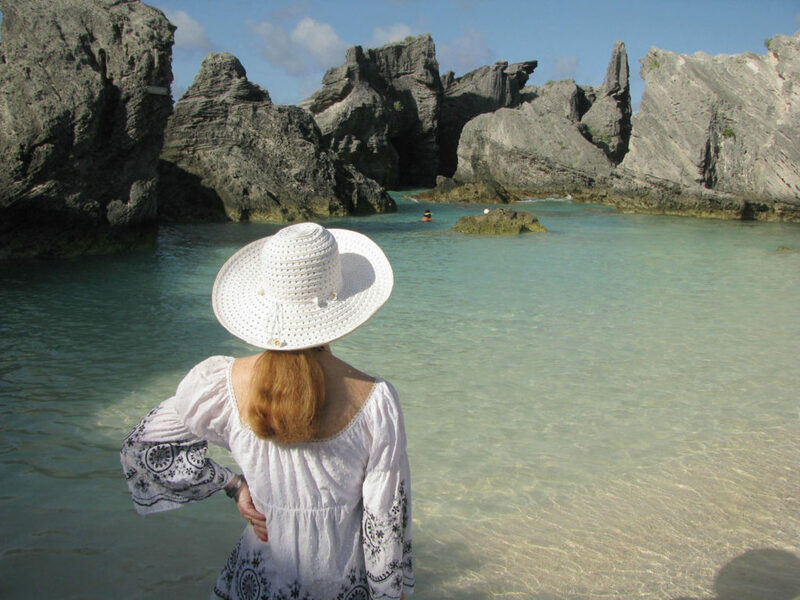 This is truly one of the most spectacular places on the planet (just break away from the cruise ship day trippers – they don’t walk too far or too fast). 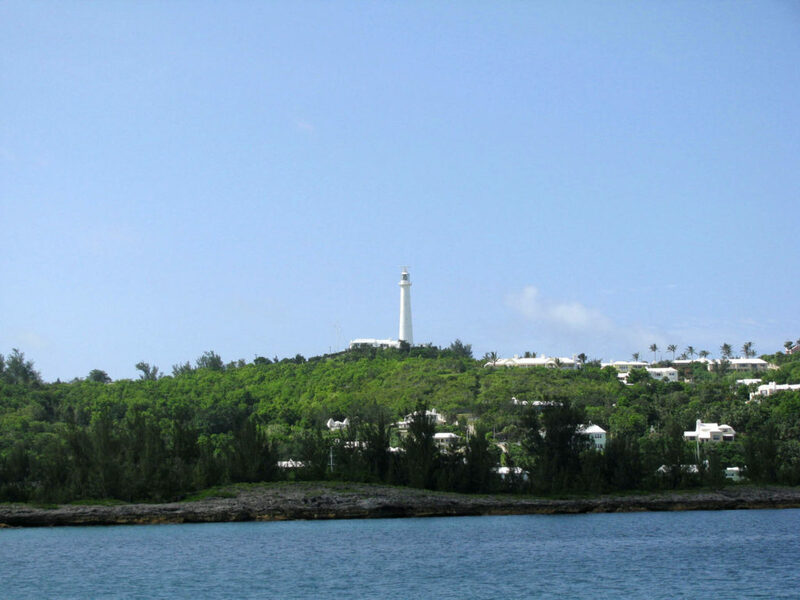 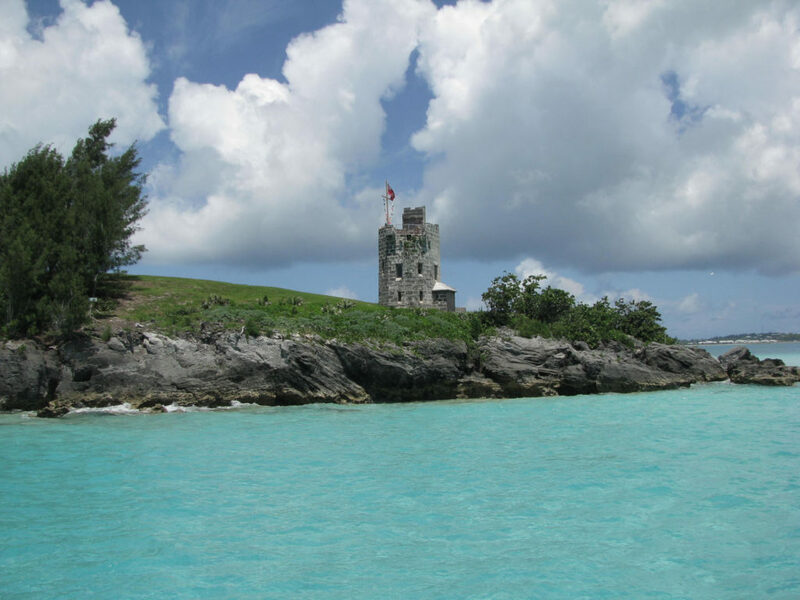 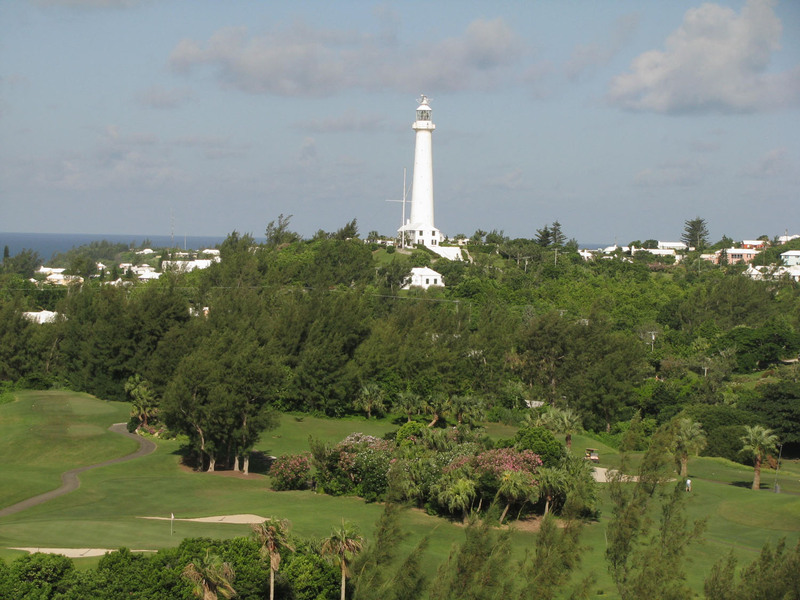 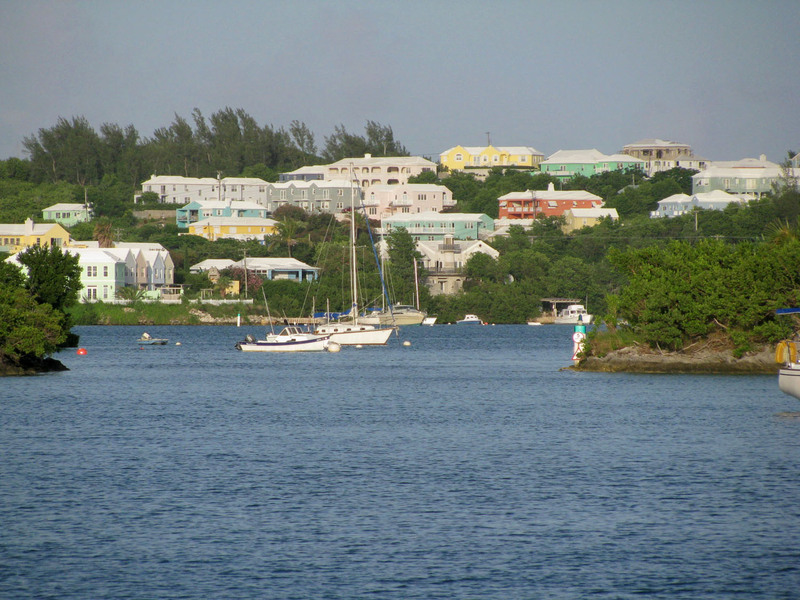 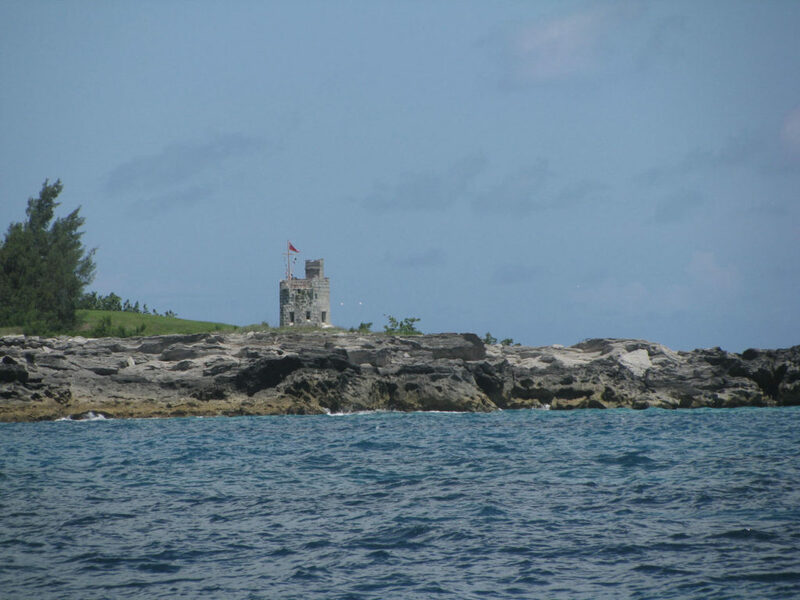 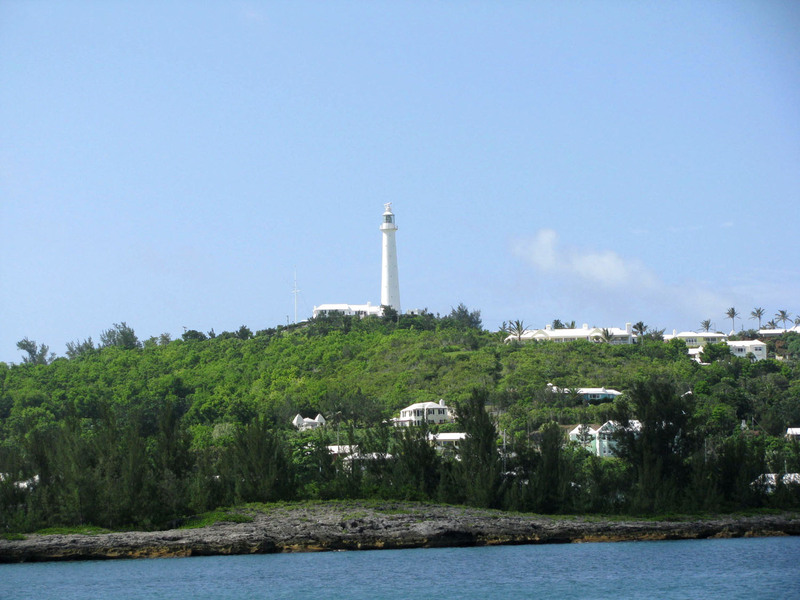 Gibb’s Lighthouse, is another scenic walk from the pink hotel, visit the highest point on Bermuda for a panorama of the entire archipelago. 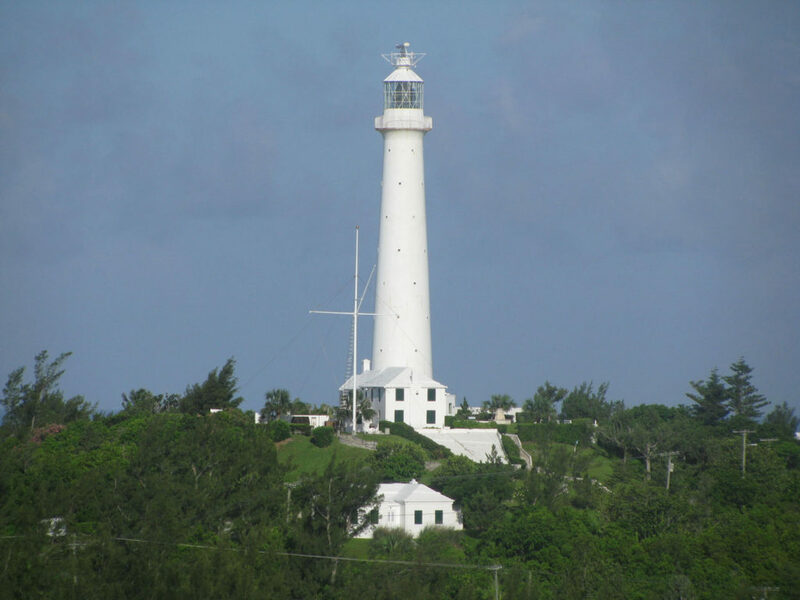 One caveat: you must climb 185-steps to the top of the 1844 oldest cast-iron lighthouse in the world. 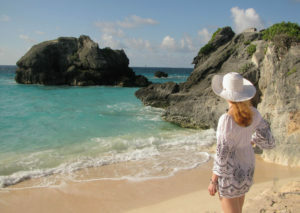 A day at Bermuda’s Fairmont Willow Stream Spa is divine with a fluffy robe and slippers, admission to the fitness facilities, a private indoor pool and outdoor hot tubs with spectacular views, steam and sauna rooms (plus a tempting menu of a la carte treatments). 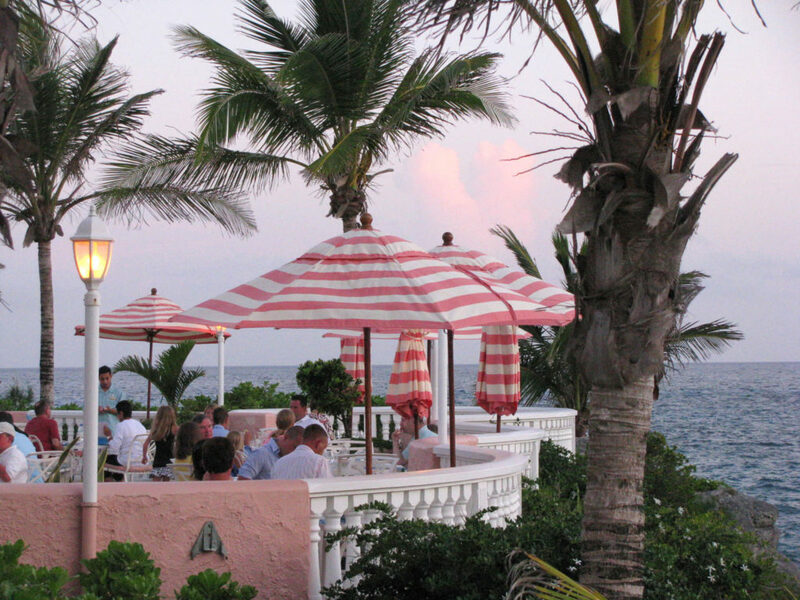 Southampton’s dining requires decision making skills (or better – a week). 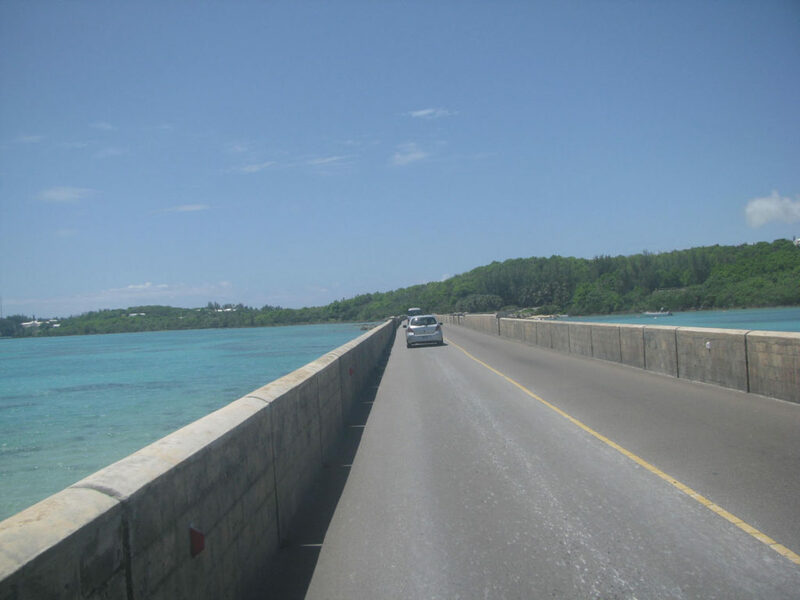 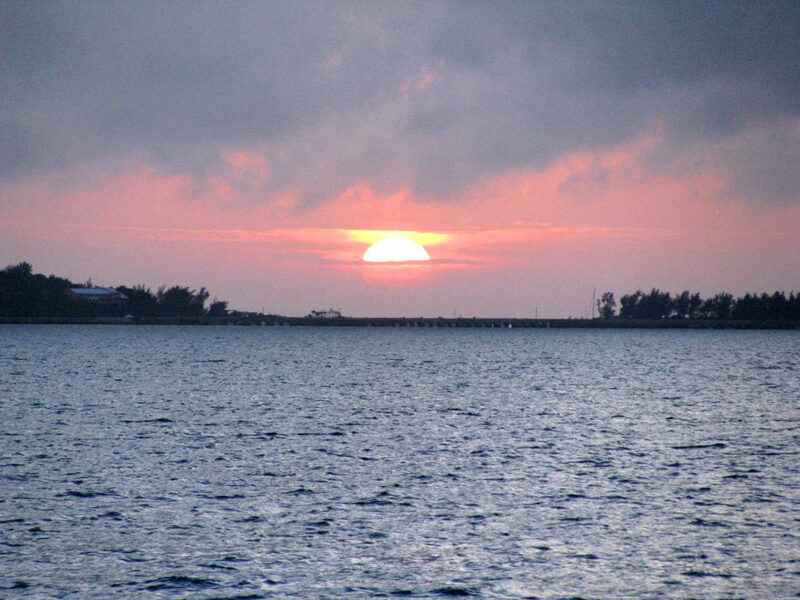 There’s an Italian bistro Bacci at the golf course, the beachfront Ocean Club for sunset and sushi, the chic lobby bar Jasmine, poolside at Wickets, the mahogany yacht-themed Newport Room, and the historical steak house – 1670 Waterlot Inn (reputed among the best in Bermuda – I agree). 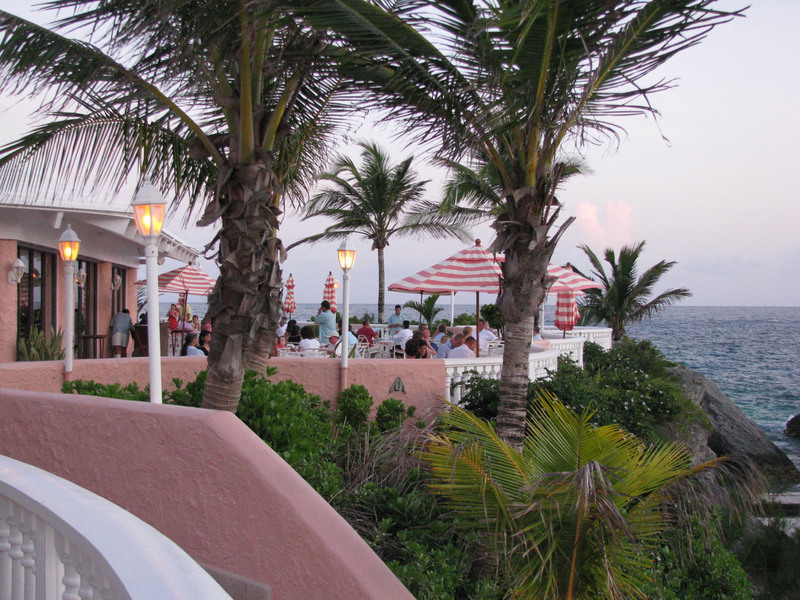 After dinner, the Cellar is the spot for cocktails and dancing, while the Jasmine Lounge often has live jazz. 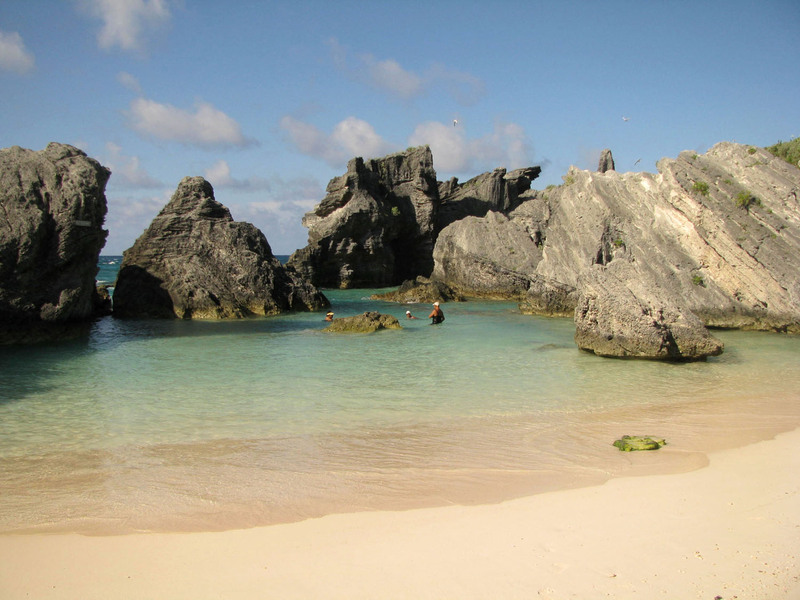 Four days of exploring this lush island, swimming the crystal clear blue waters, soaking up the sun, and enjoying Bermudian hospitably was barely enough. 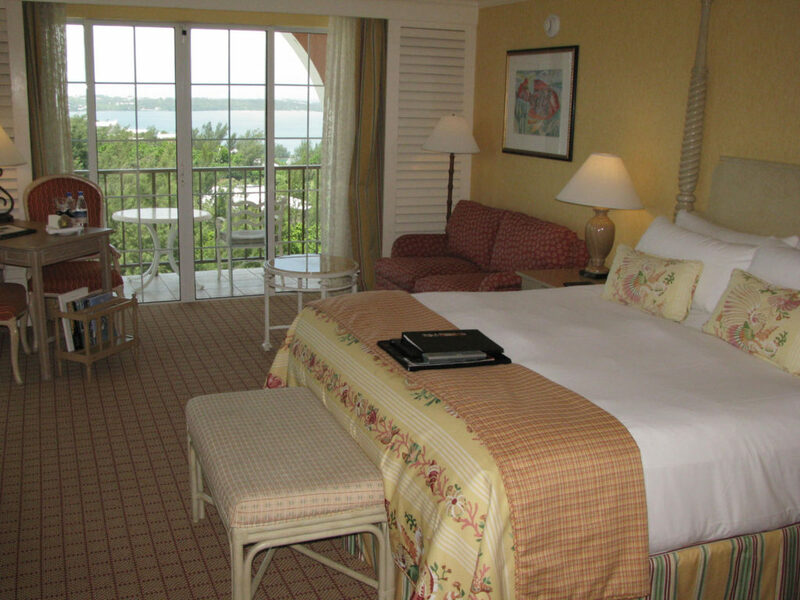 Having stayed at both Fairmonts, I preferred the resort setting of the Southampton. 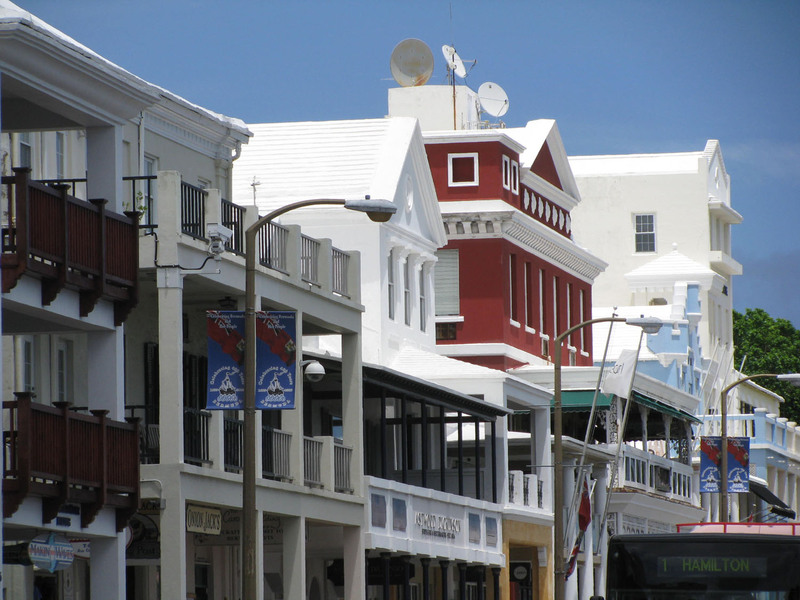 However The Hamilton Princess is the place if you like to be in town, close to the bars, shop and restaurants – as many folks we met said they favored. 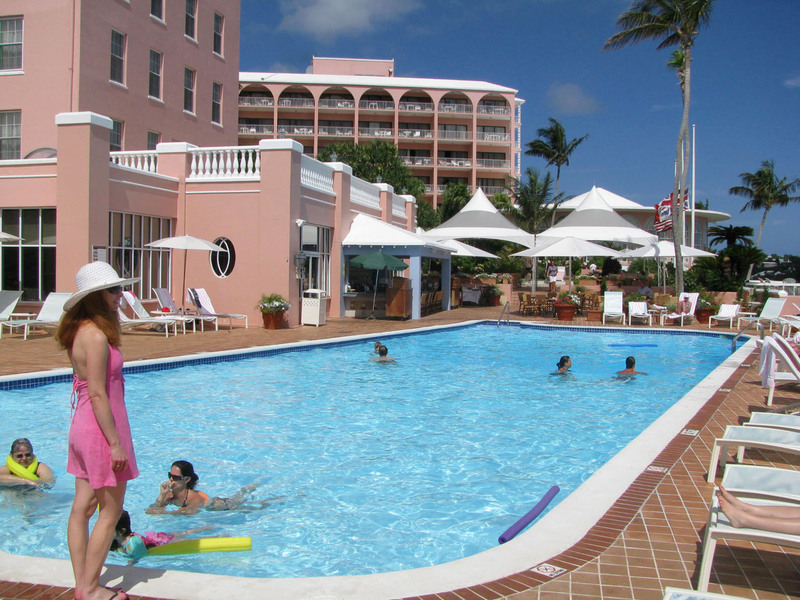 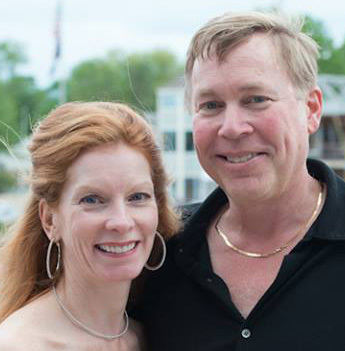 Staying a few nights at each you get the best of both worlds, the cosmopolitan ambiance of the grand historic Hamilton in the heart of the colony’s capital, then relaxation and recreation at the sunny Southampton’s beach club. 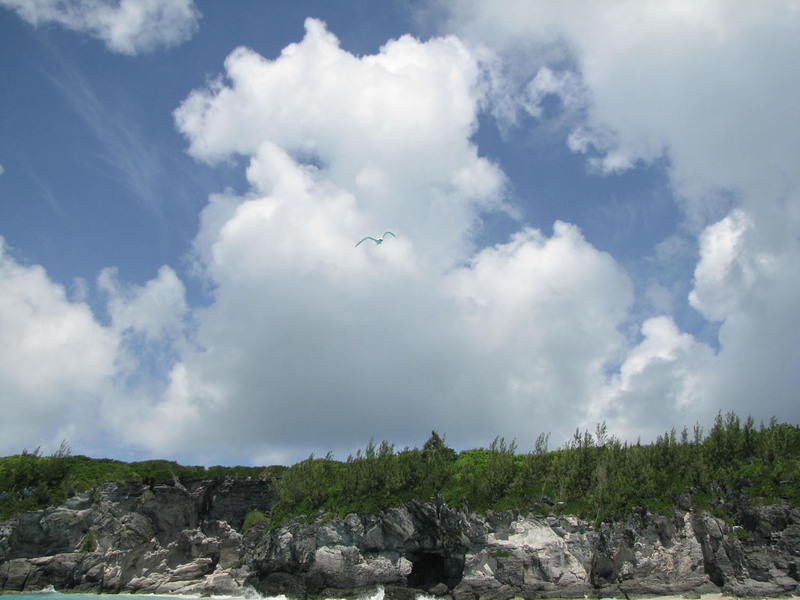 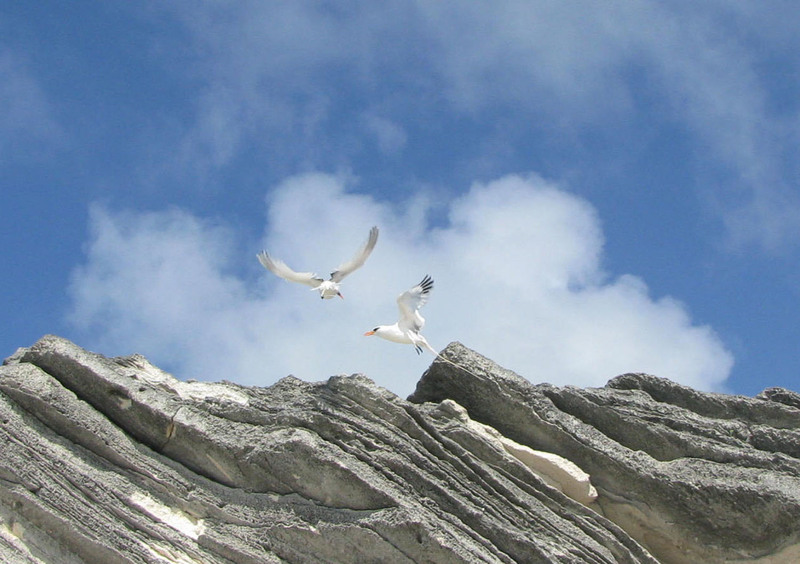 Bermuda is four centuries old, early explorers wrecked their ships on the 138 island reefs that comprise Bermuda – earning the legendary name “Isle of the Devils” (and making way for fantastic diving and snorkeling). 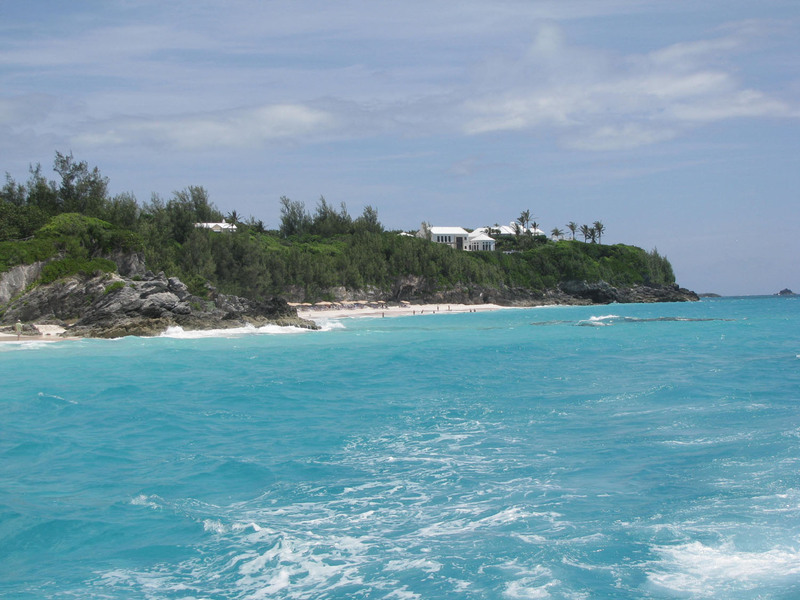 Now you can have a devilishly good time in Bermuda. 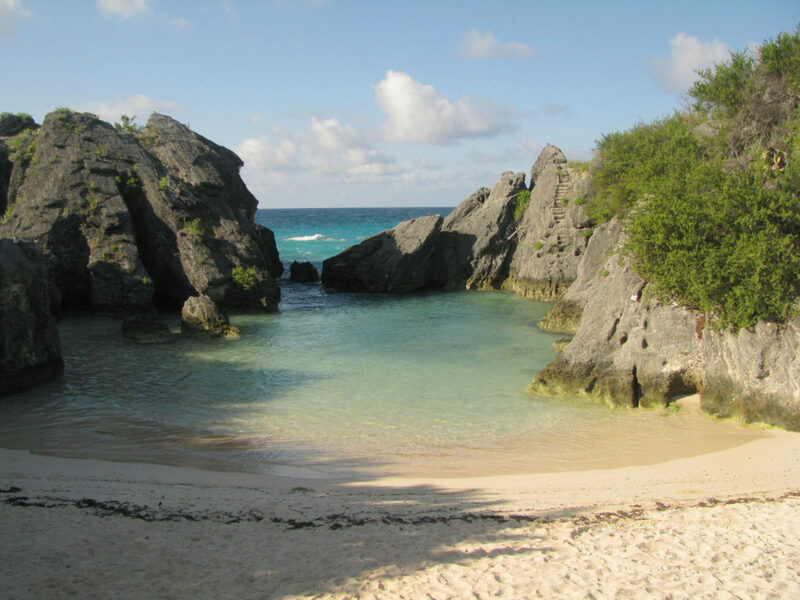 Go see the truly pink sand (created by the crushed coral), enjoy local rum, and witness men in Bermuda shorts (the delightfully proper male dress code of knee socks and bright coordinated knickers).